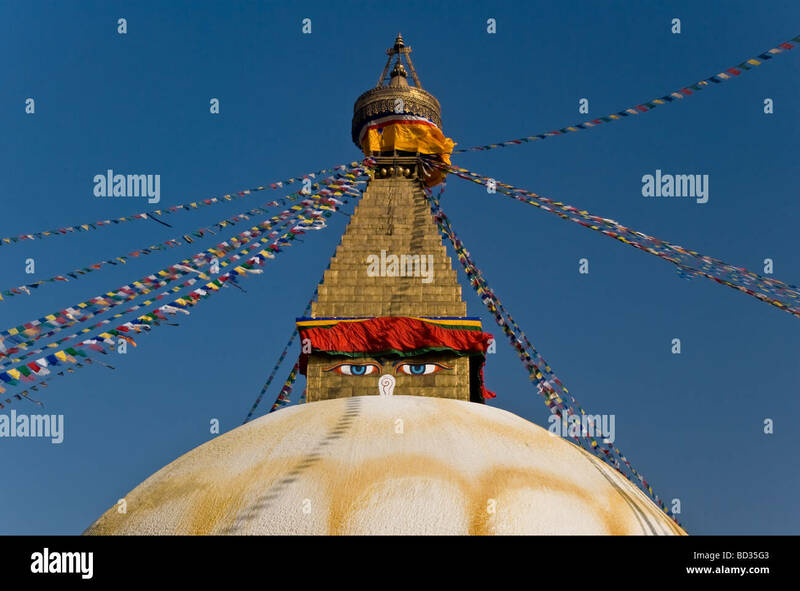 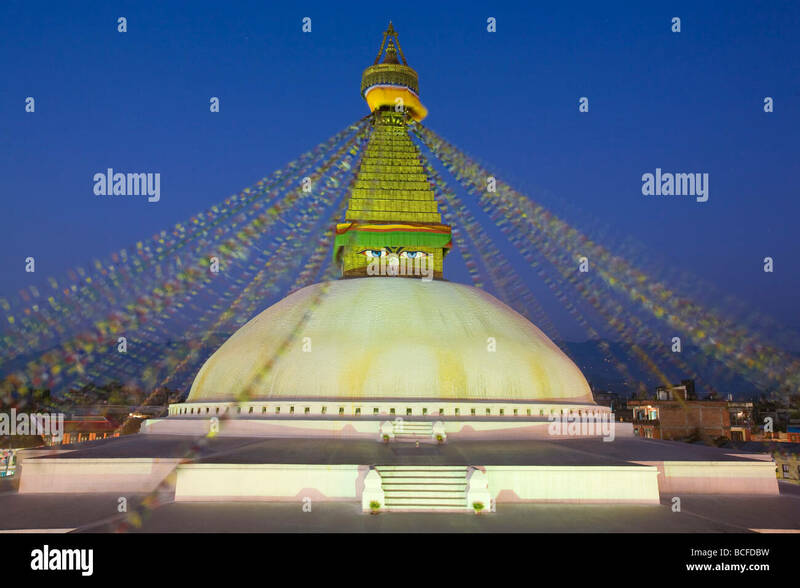 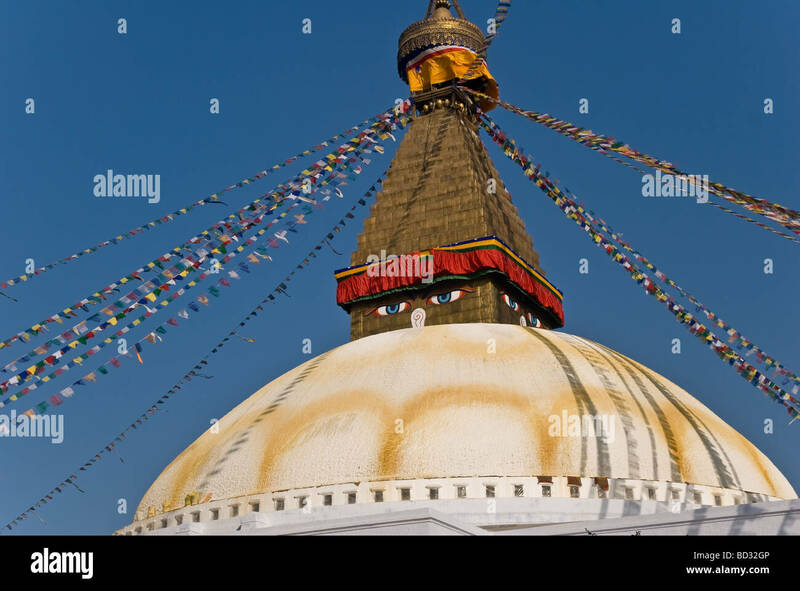 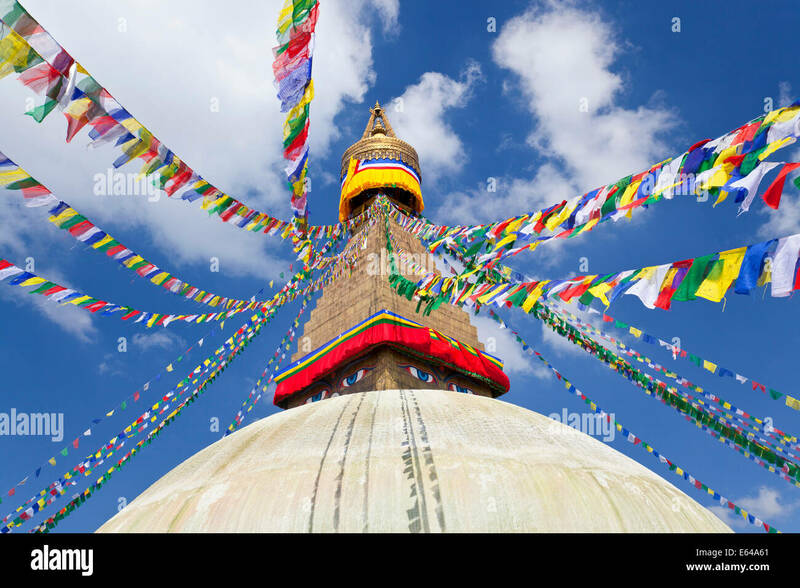 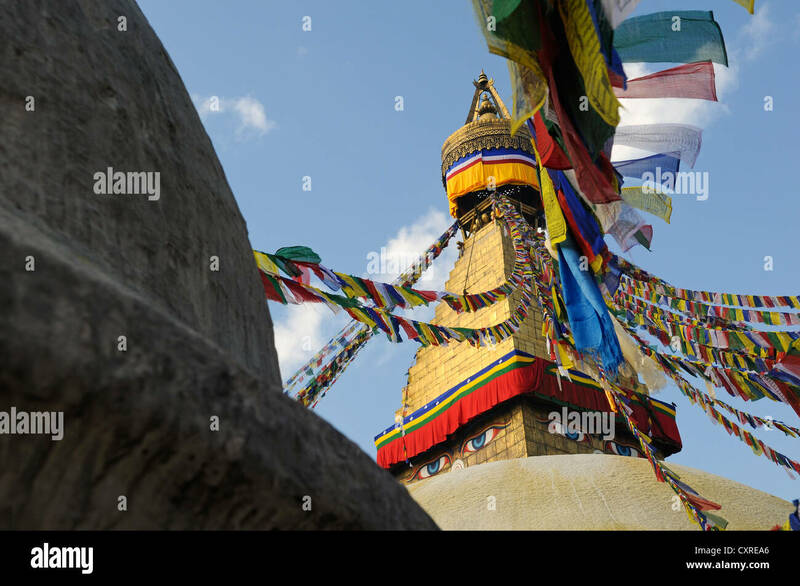 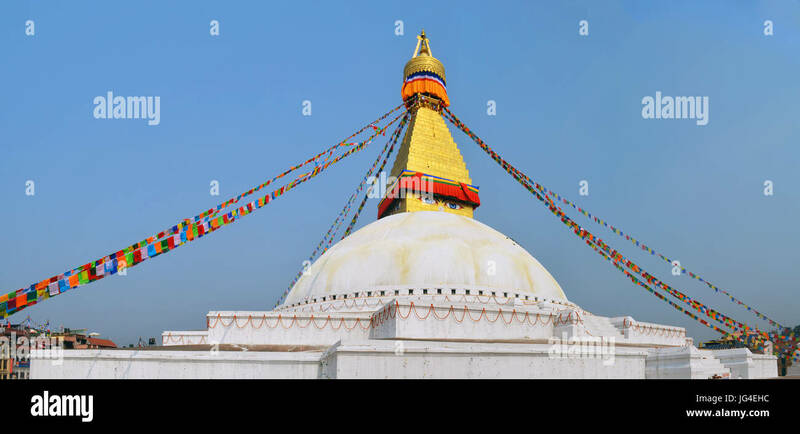 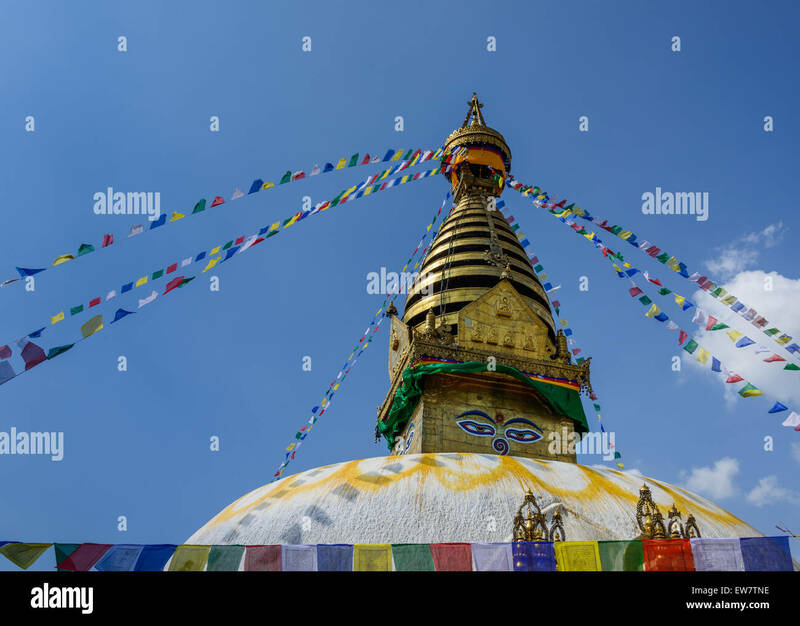 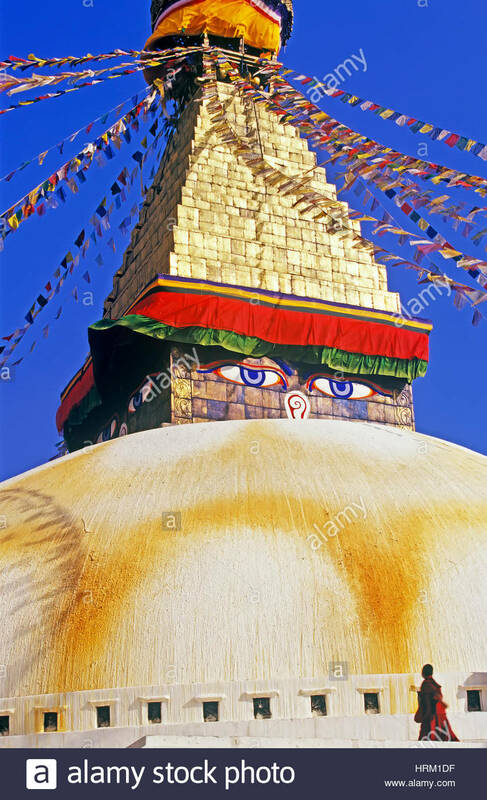 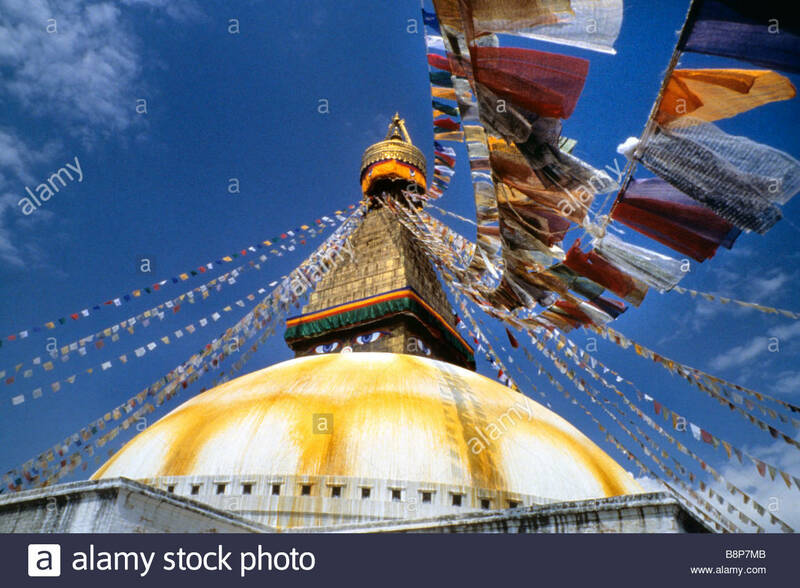 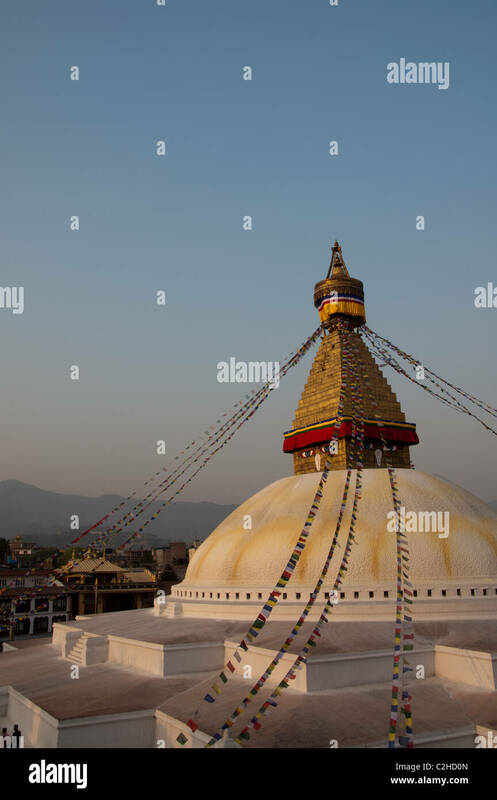 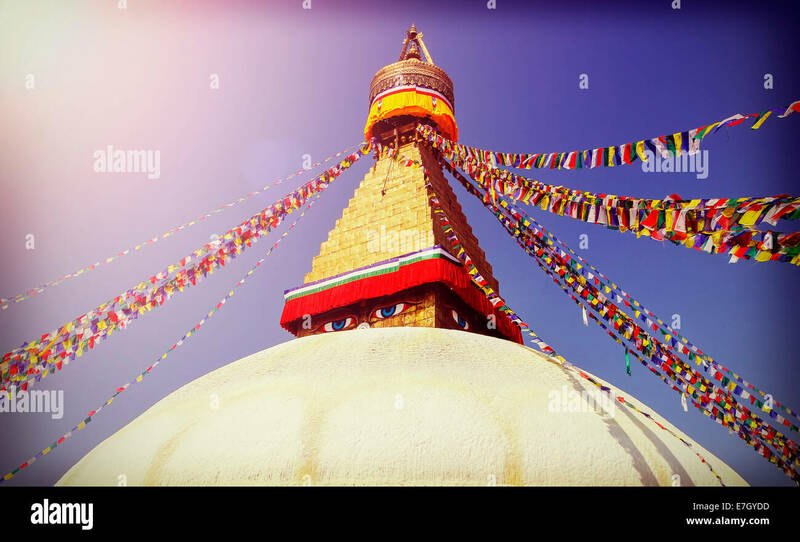 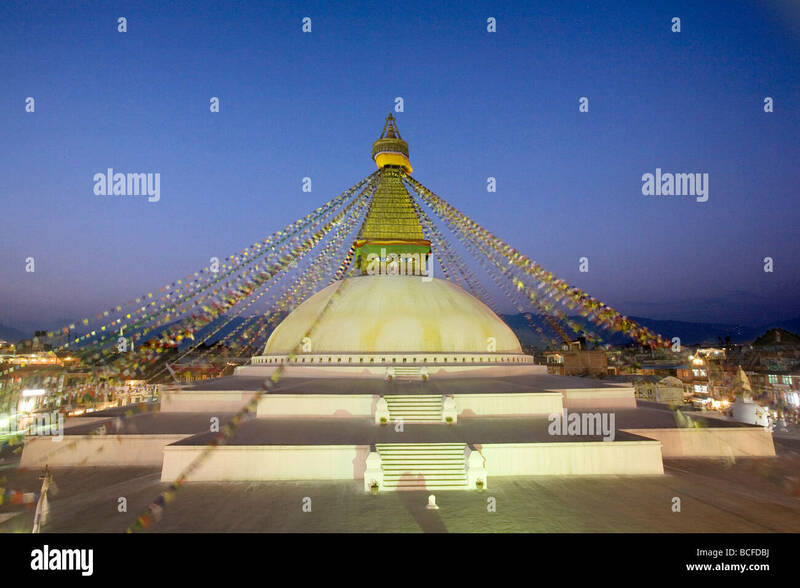 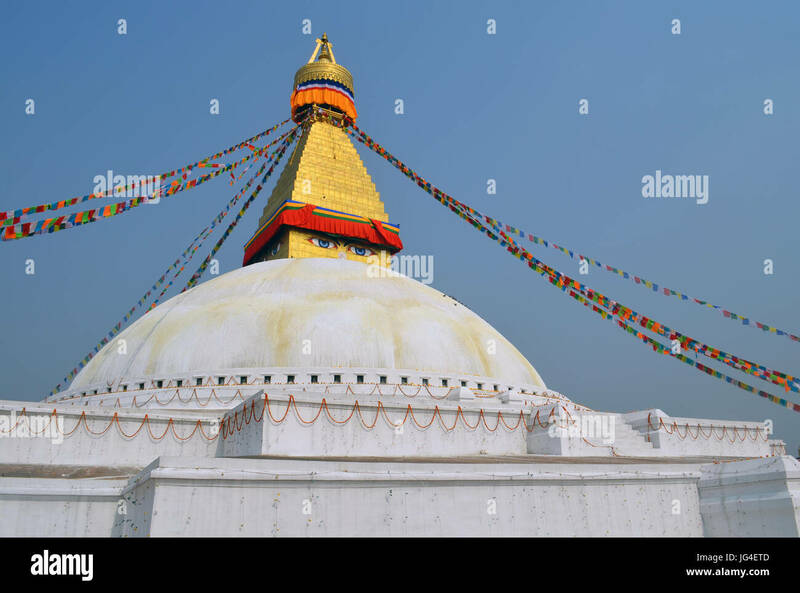 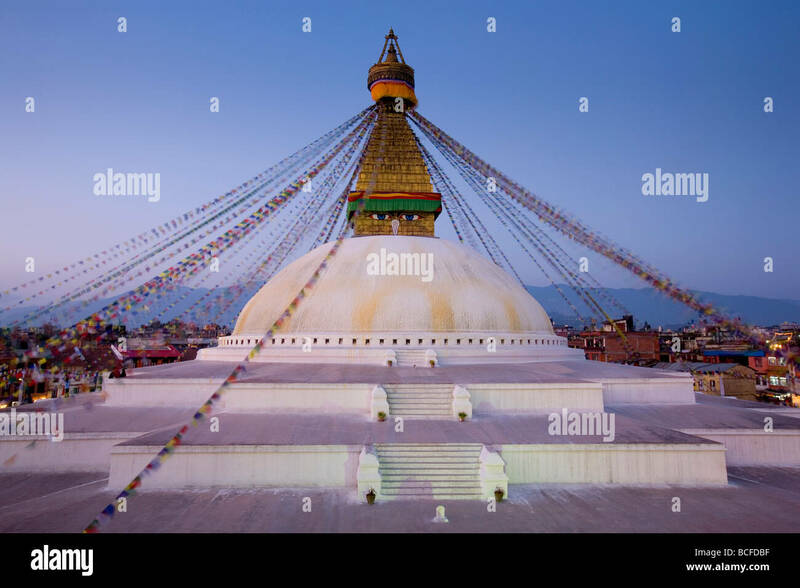 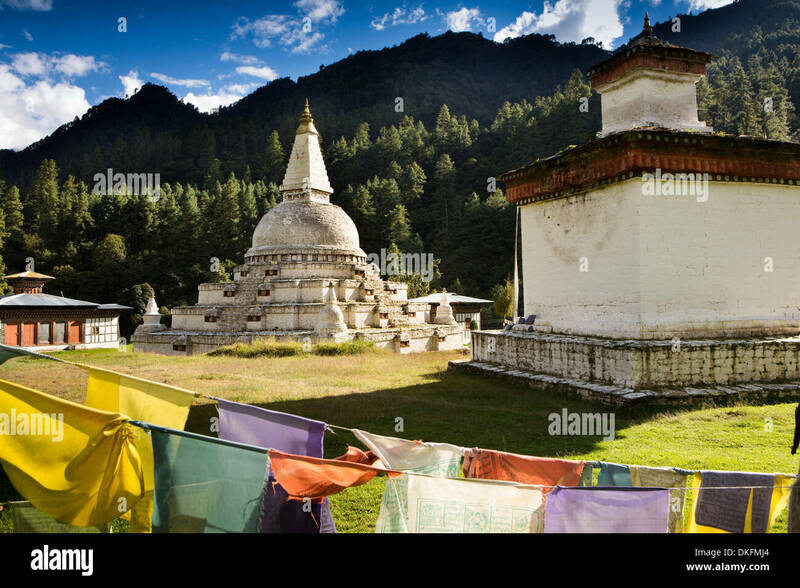 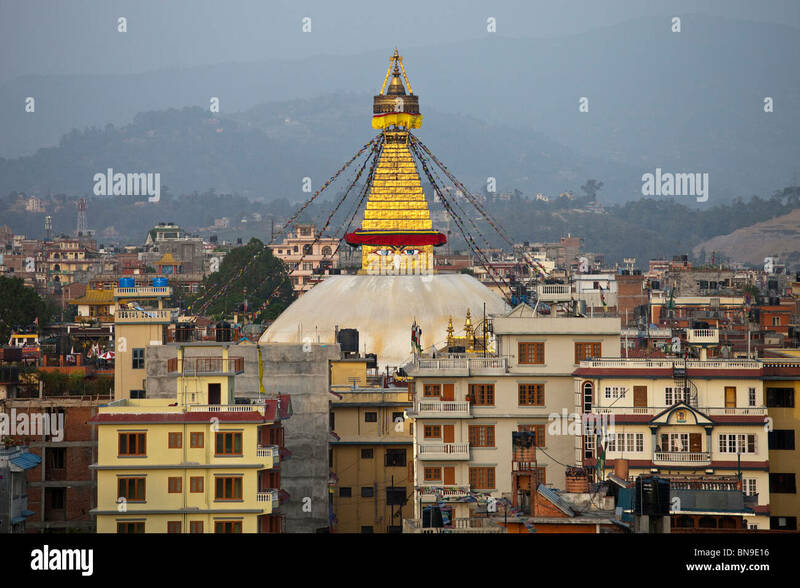 The Stupa of the Bodnath Temple, Kathmandu, Nepal. 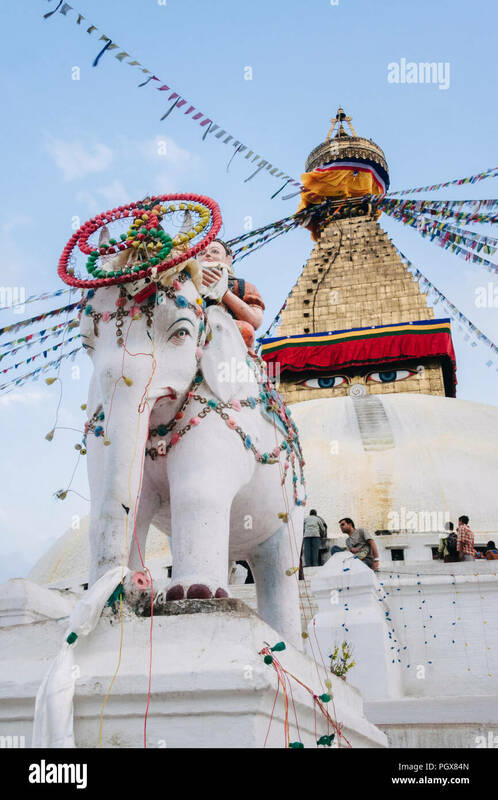 Ornated elephant statue and guards at Bodnath Stupa, Kathmandu, Nepal. 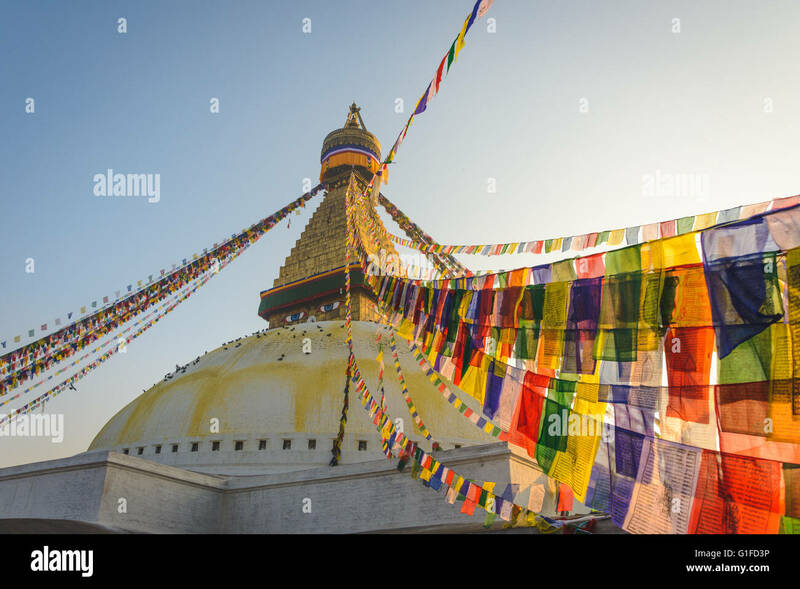 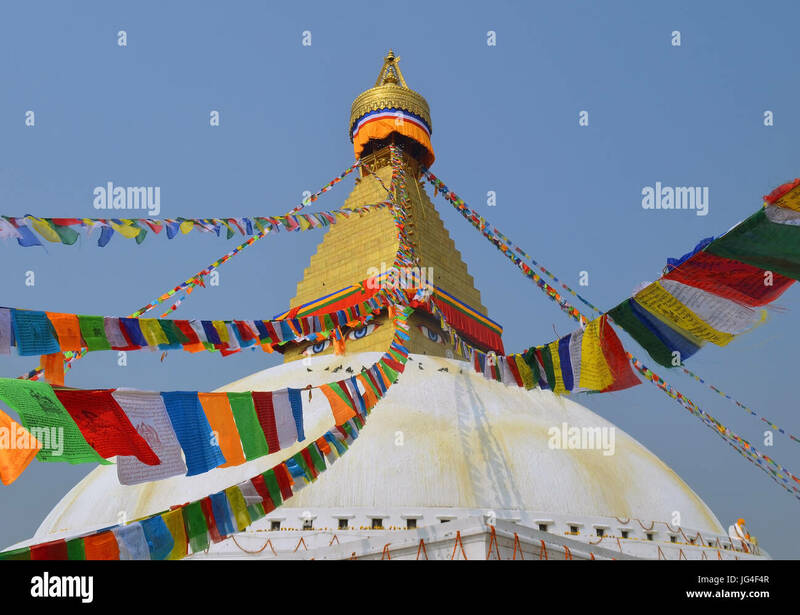 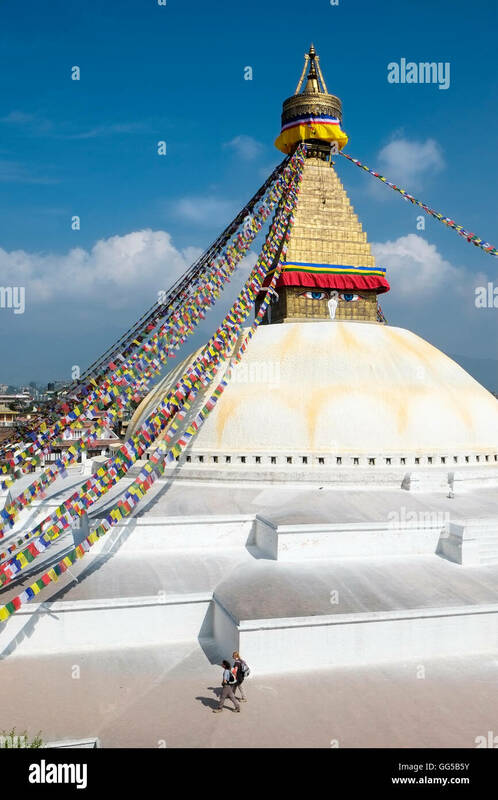 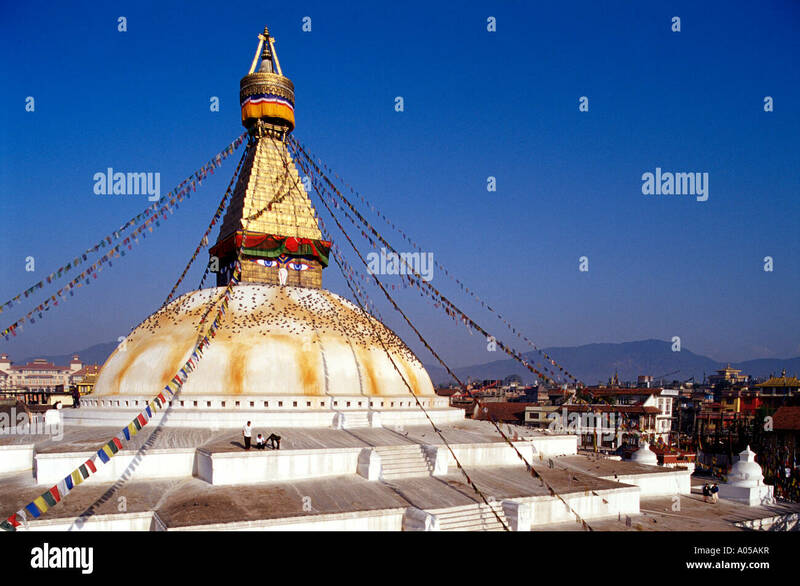 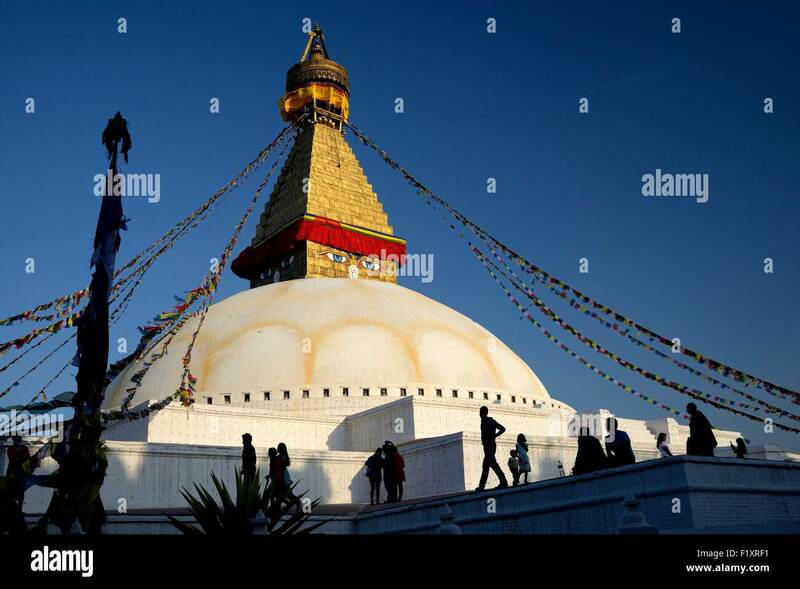 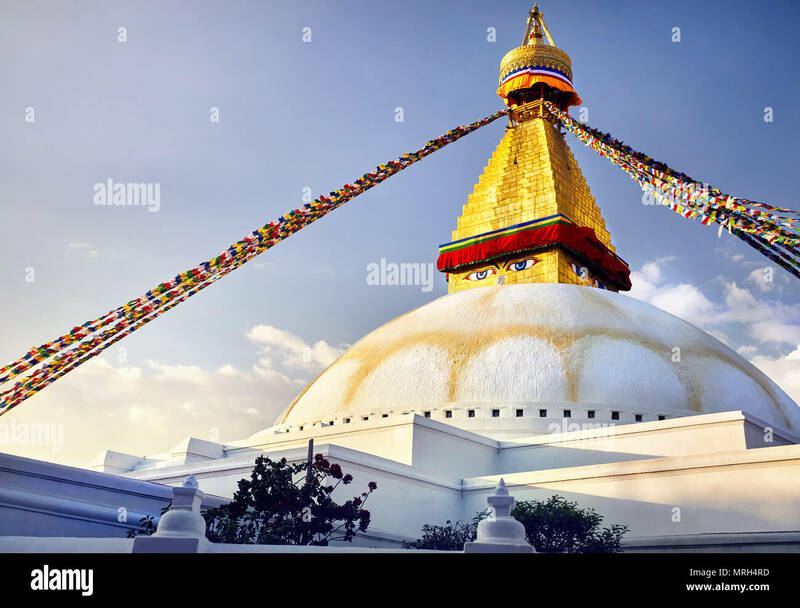 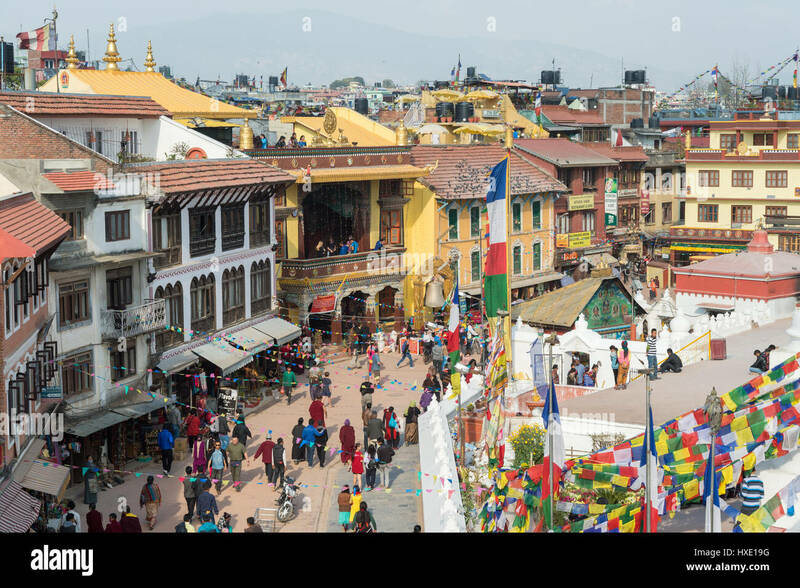 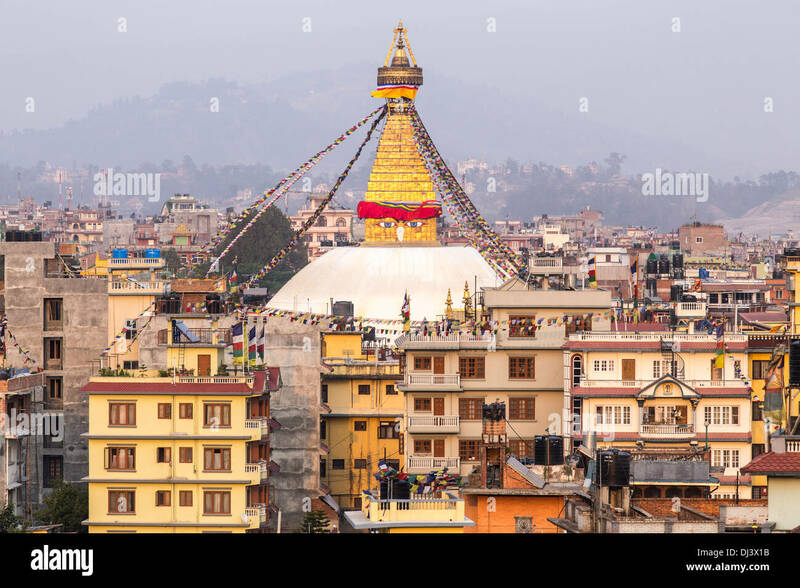 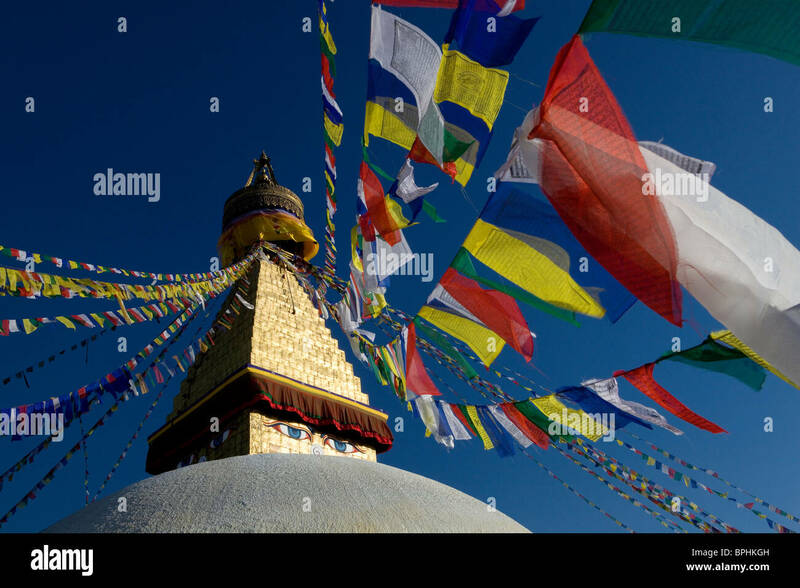 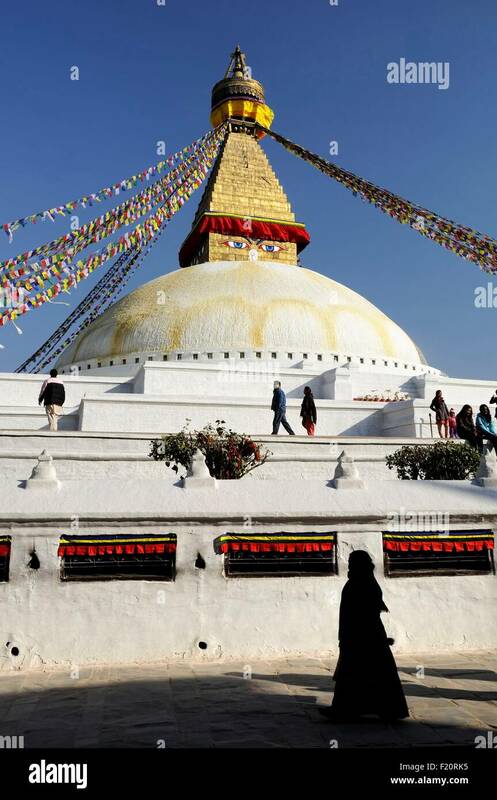 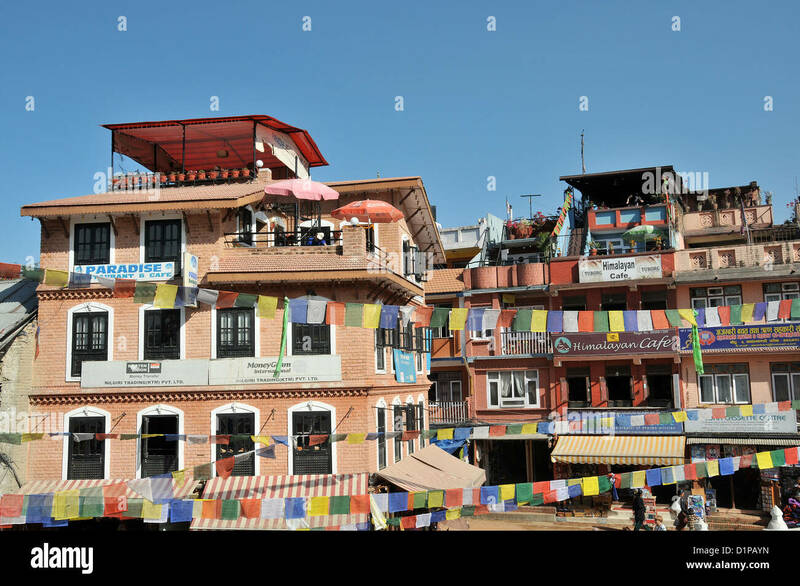 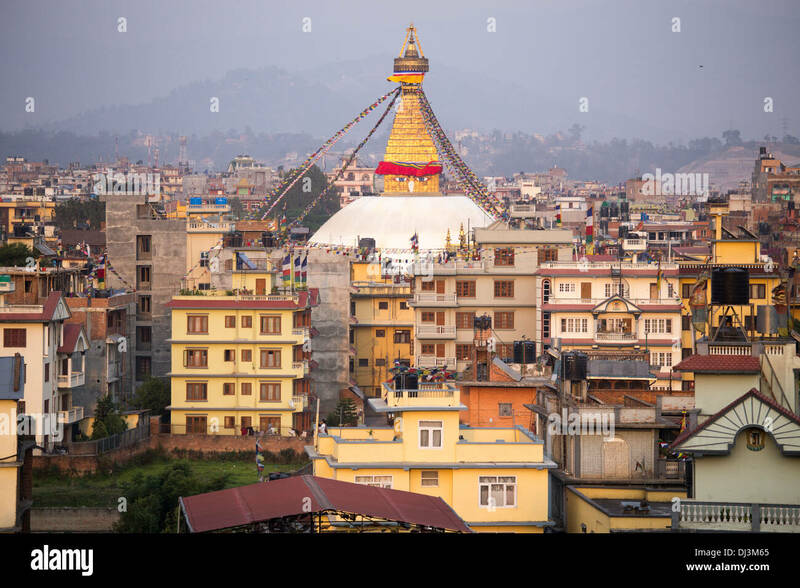 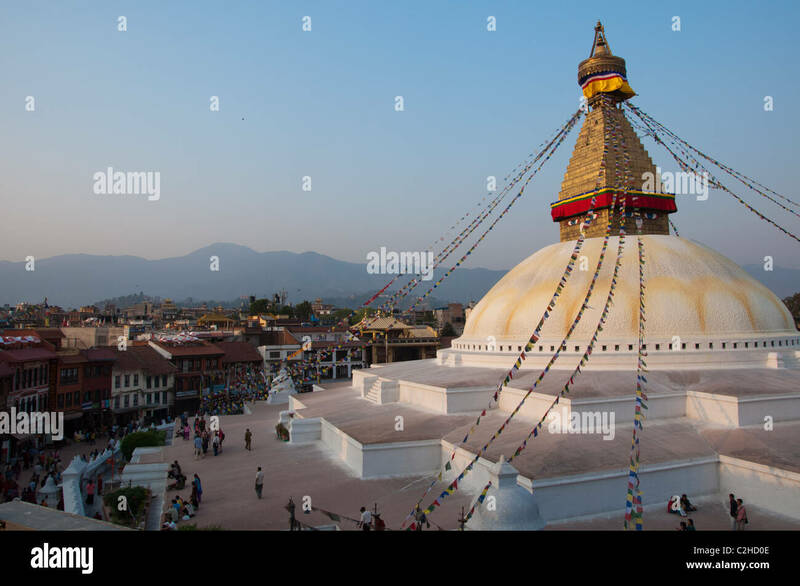 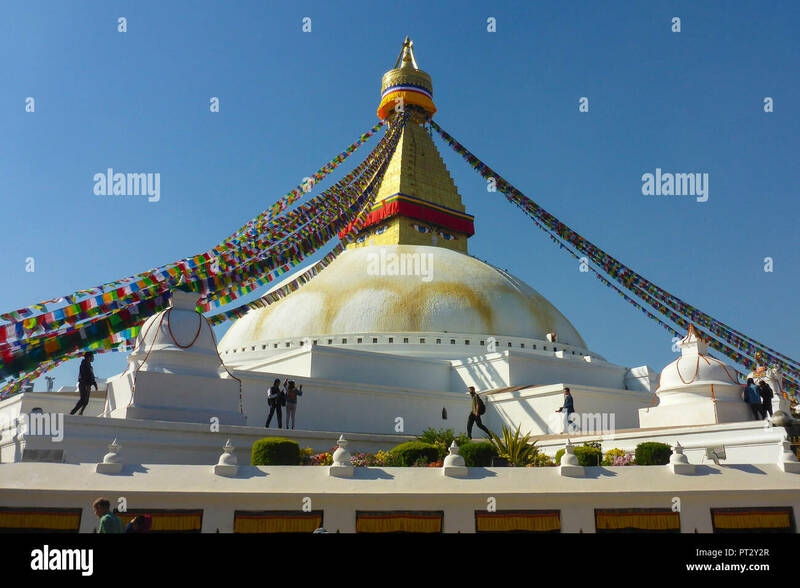 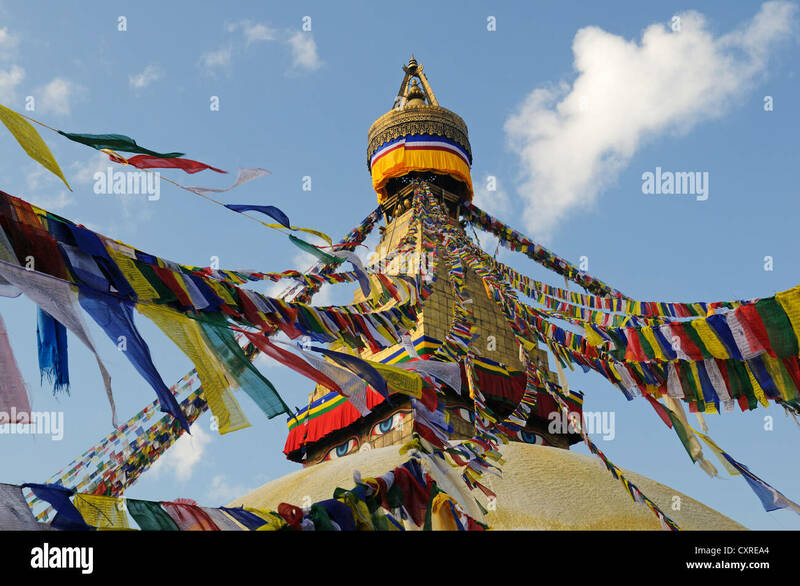 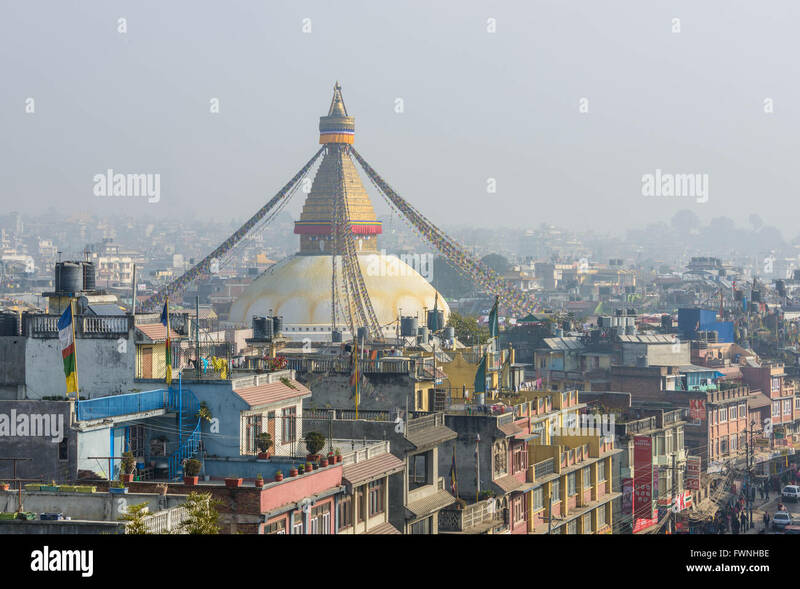 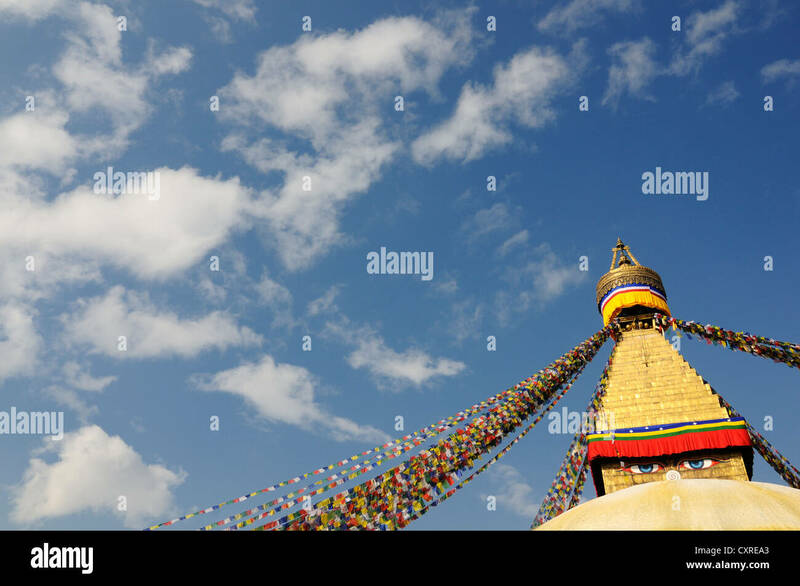 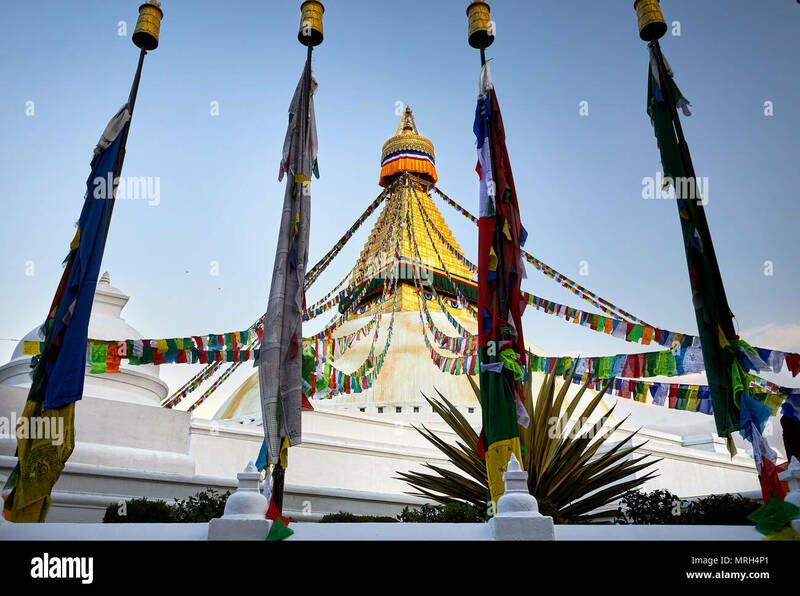 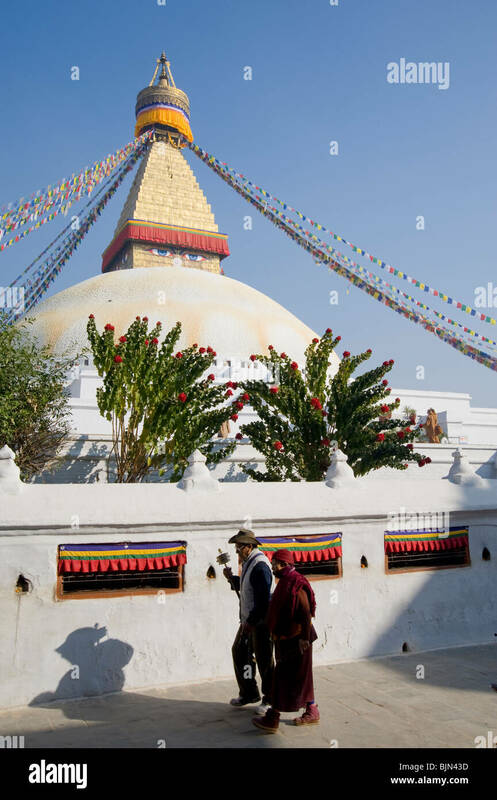 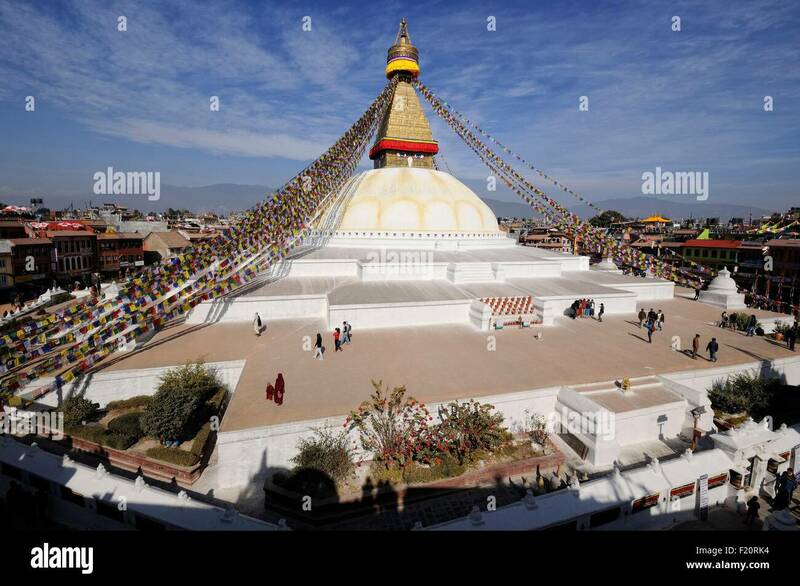 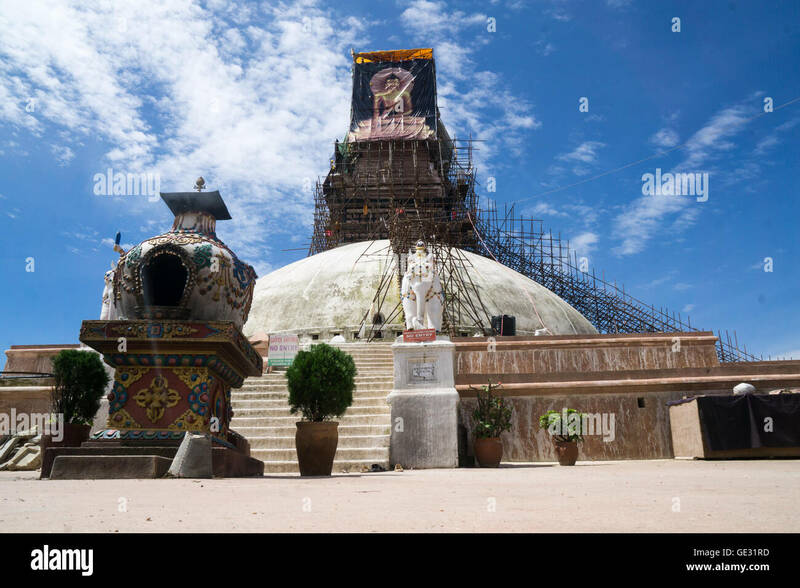 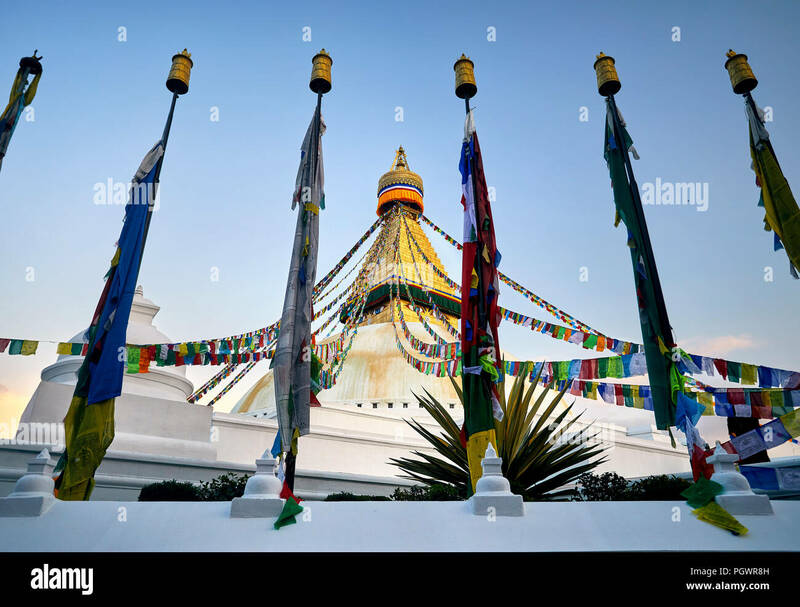 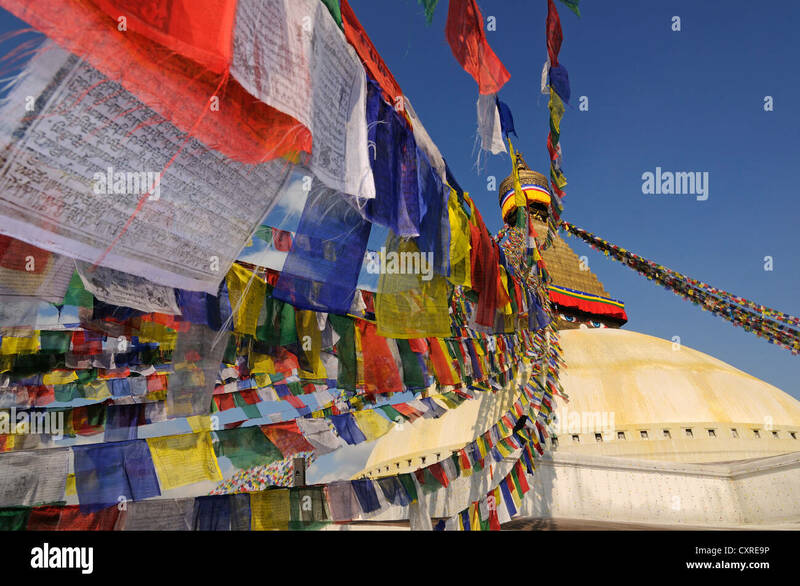 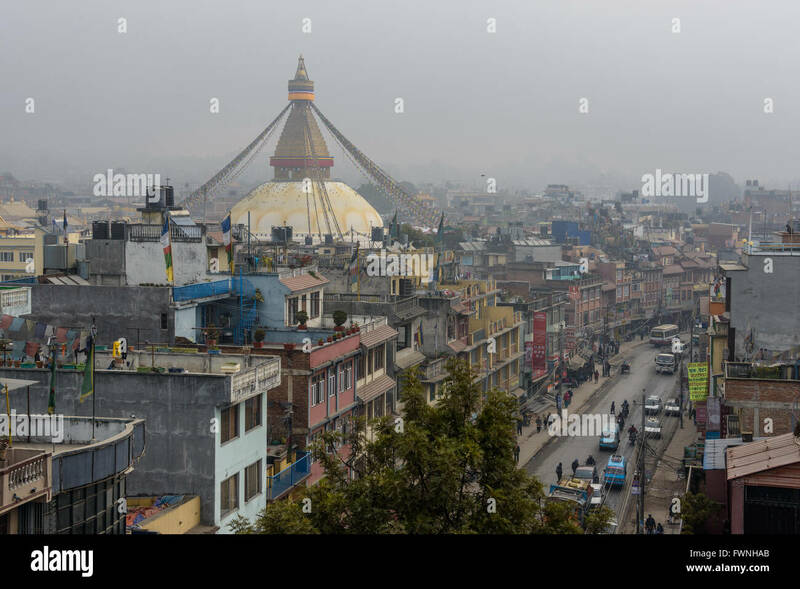 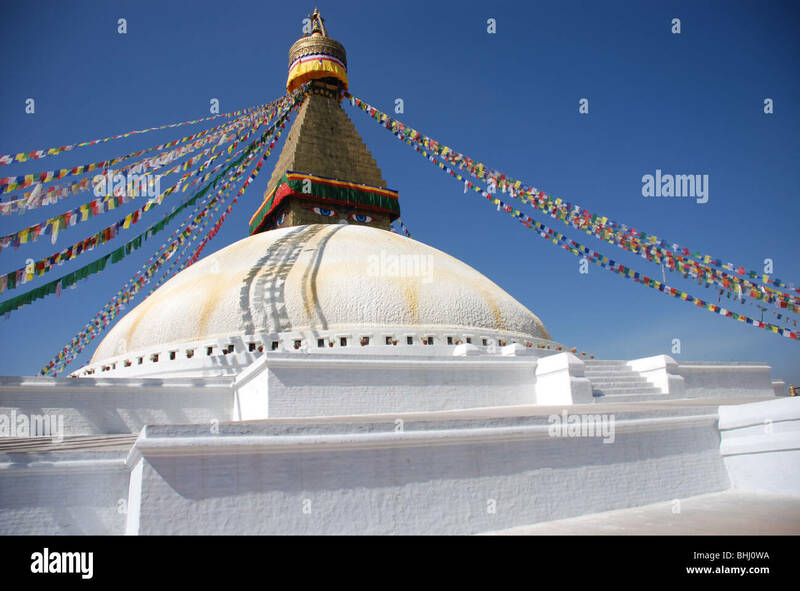 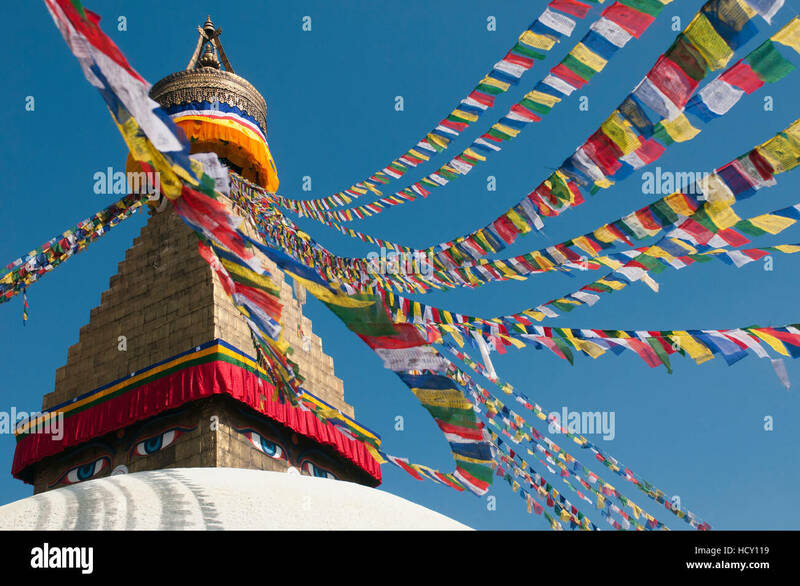 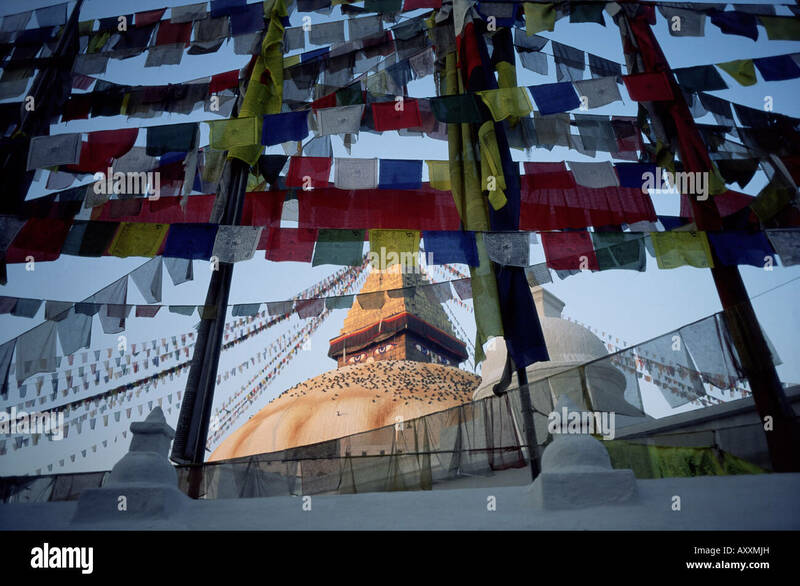 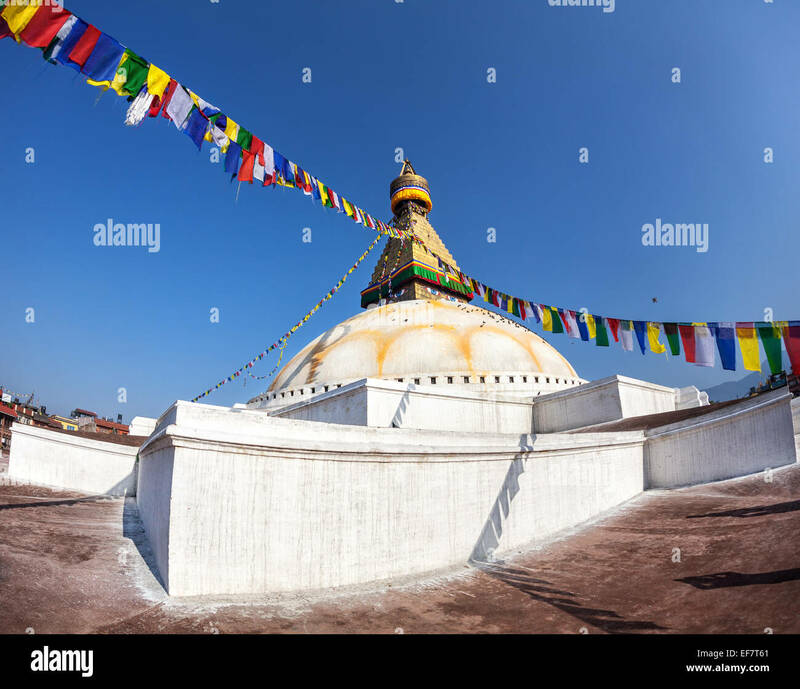 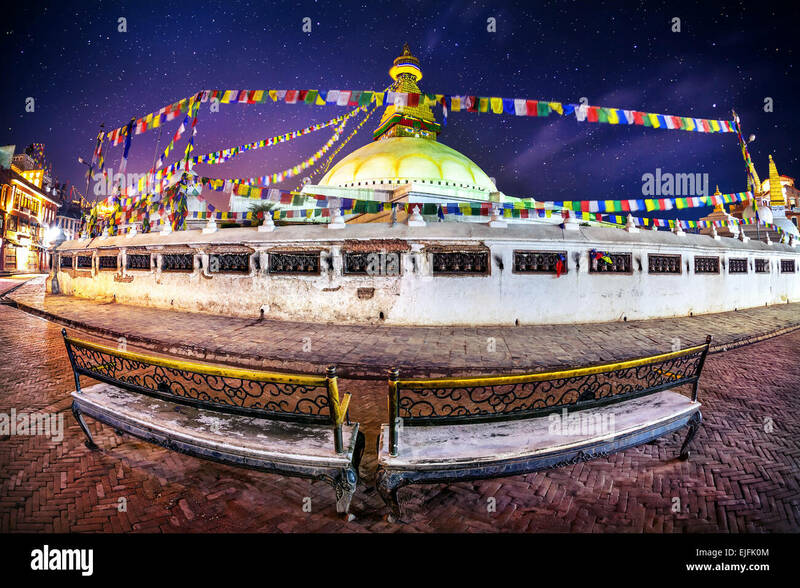 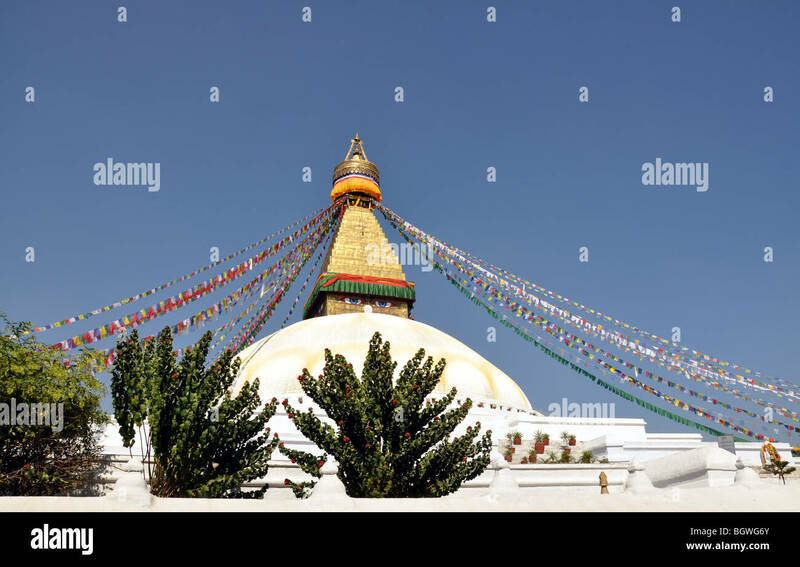 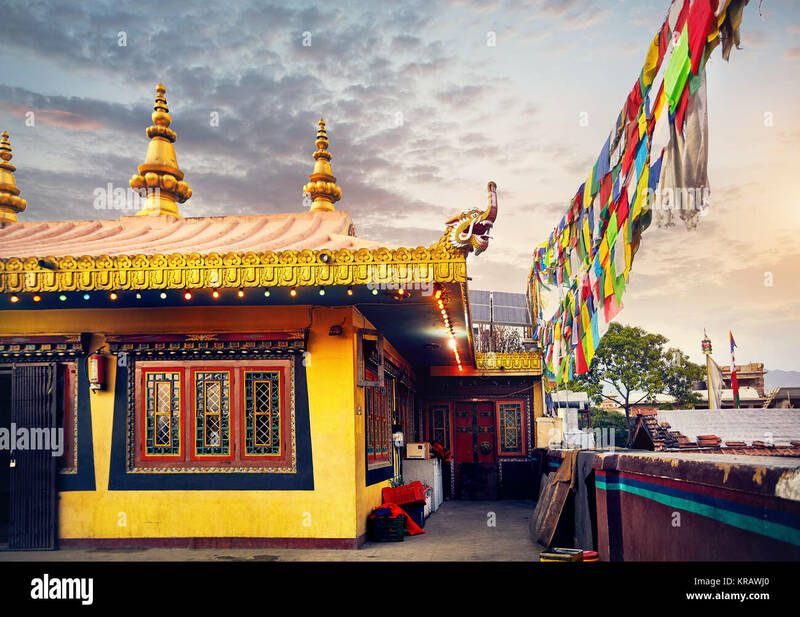 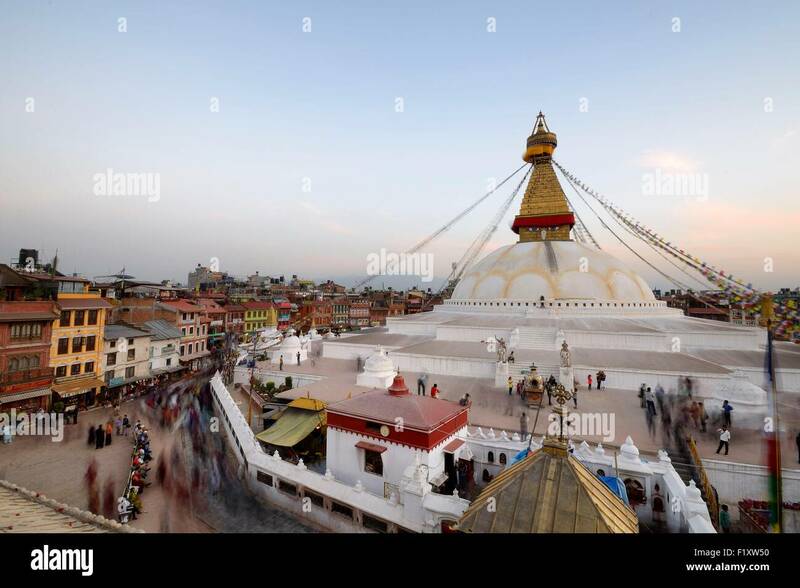 The platforms and stupa in Boudhanath (also known as Bodnath) temple, Kathamandu area, Nepal. 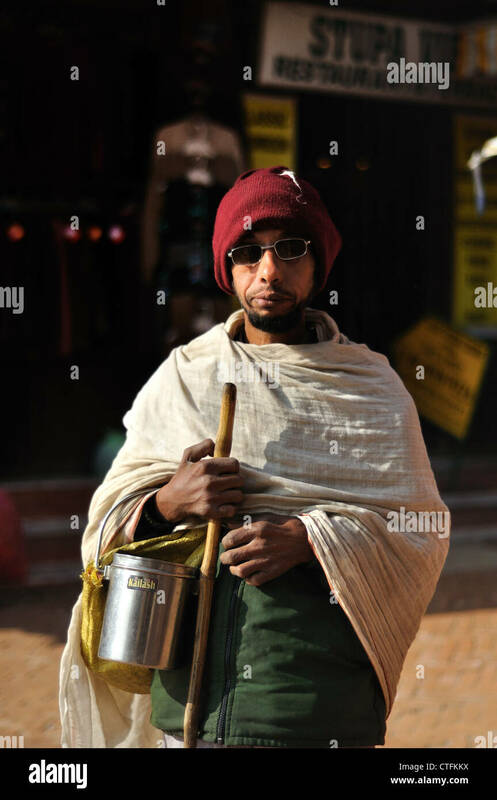 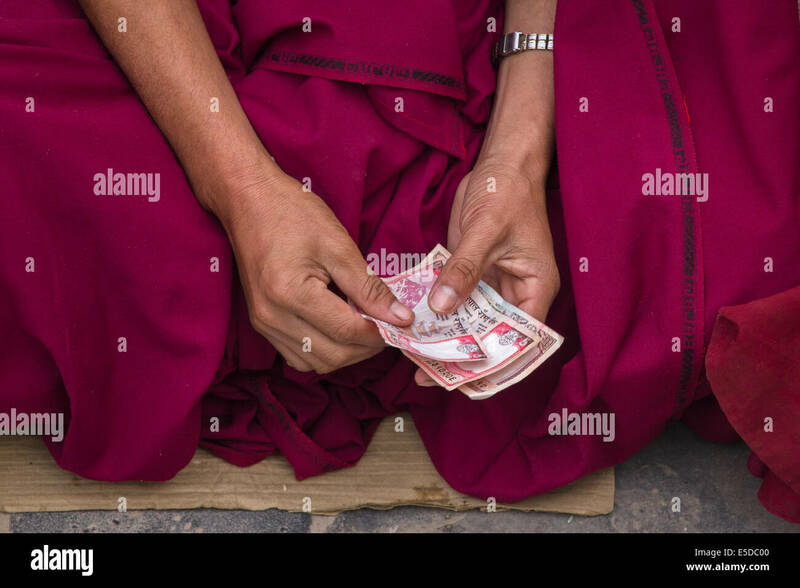 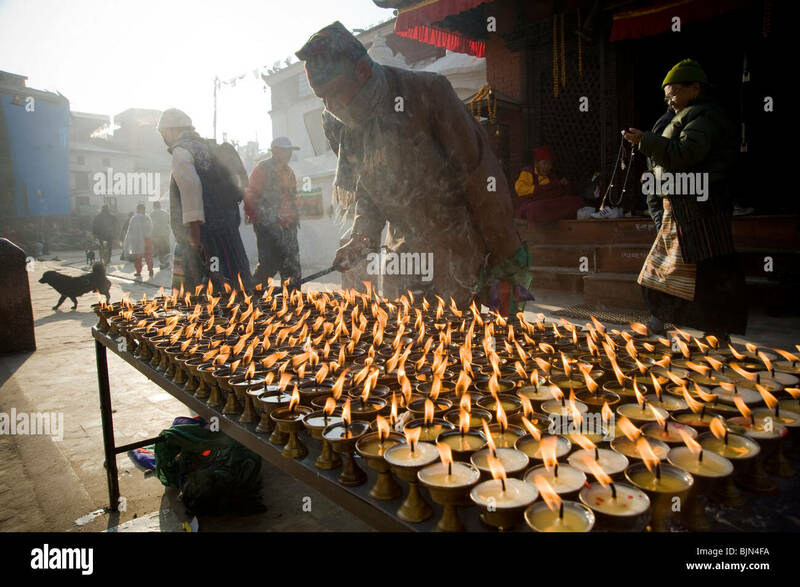 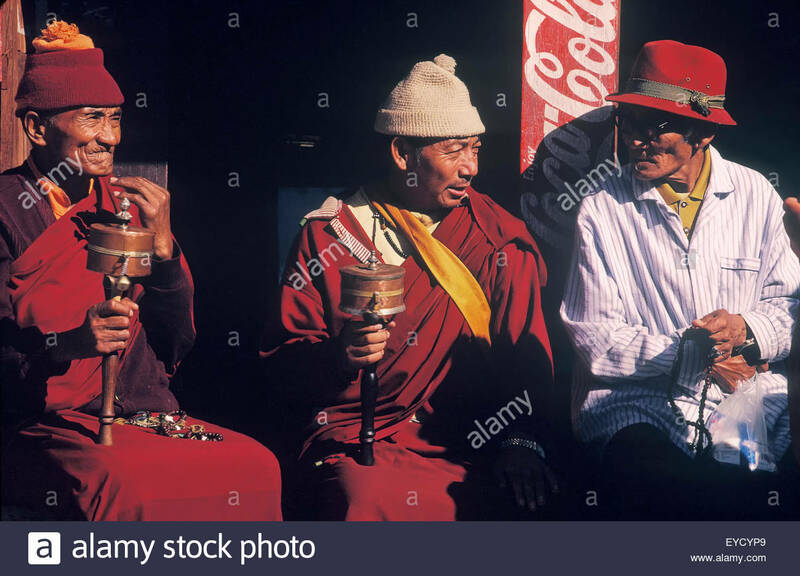 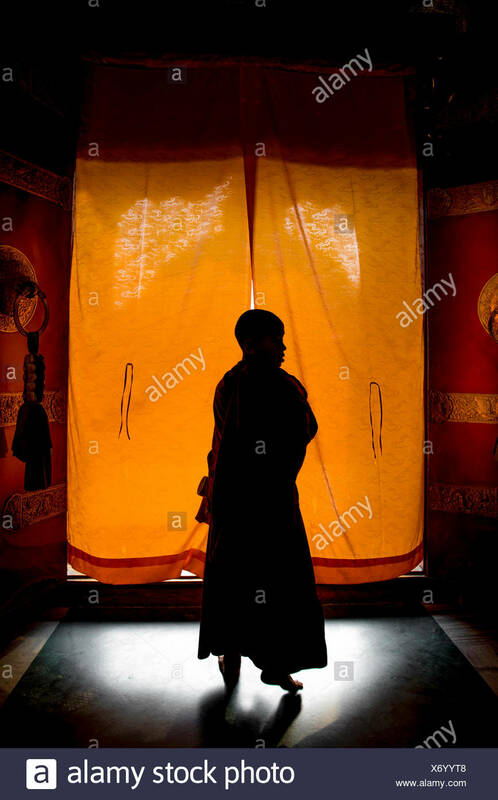 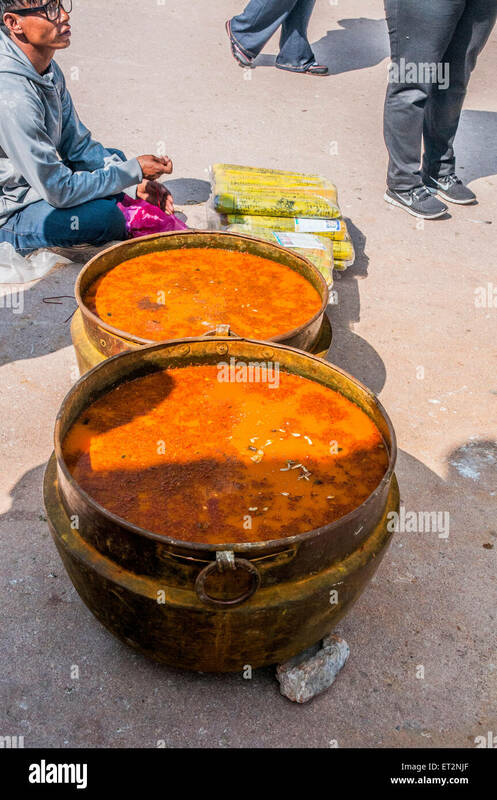 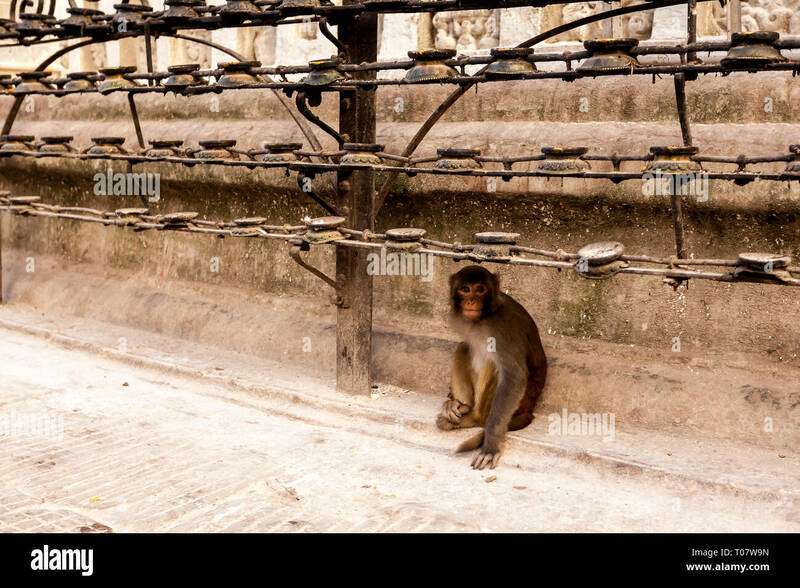 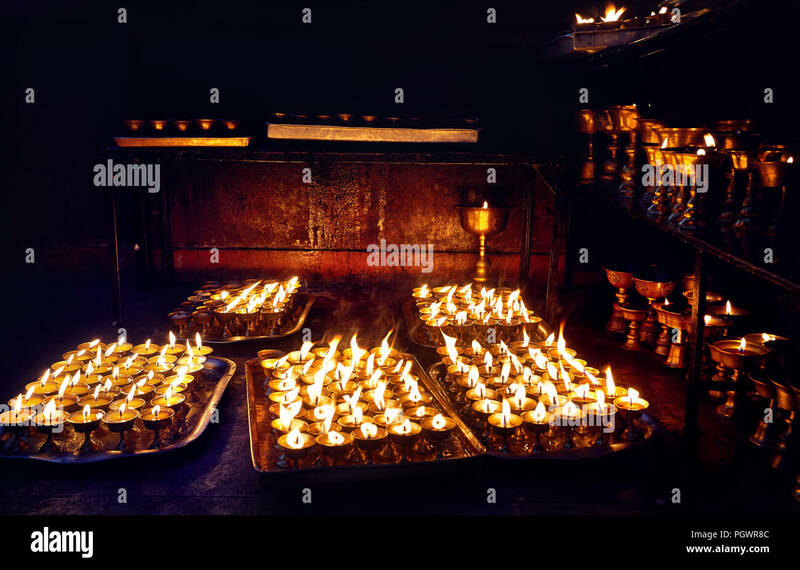 The hands of a buddhist monk, counting money received as alms, early in the morning at the buddhist stupa of Bodnath (Boudhanath), Kathmandu, Nepal. 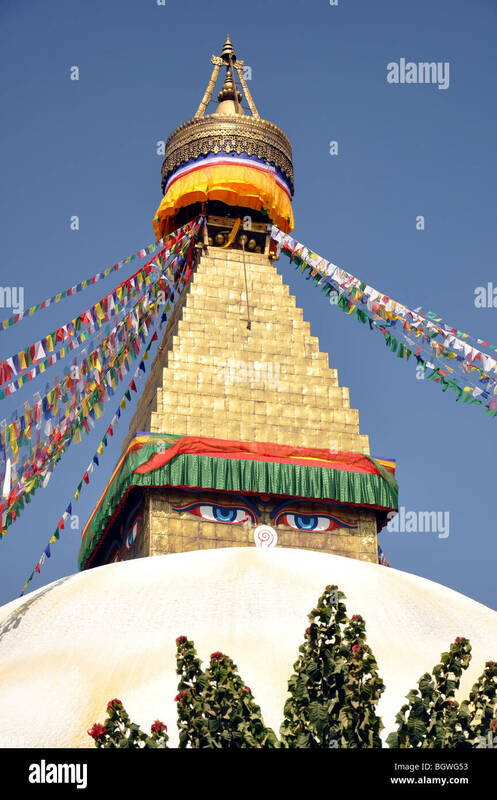 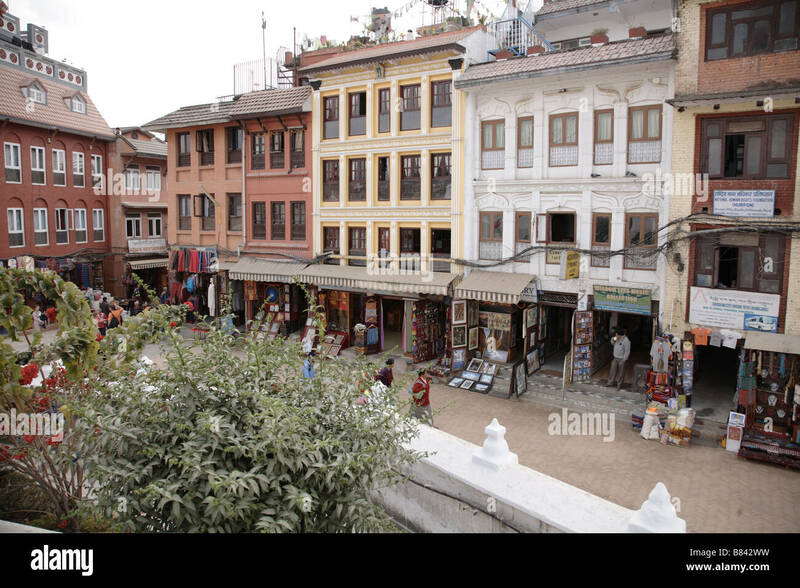 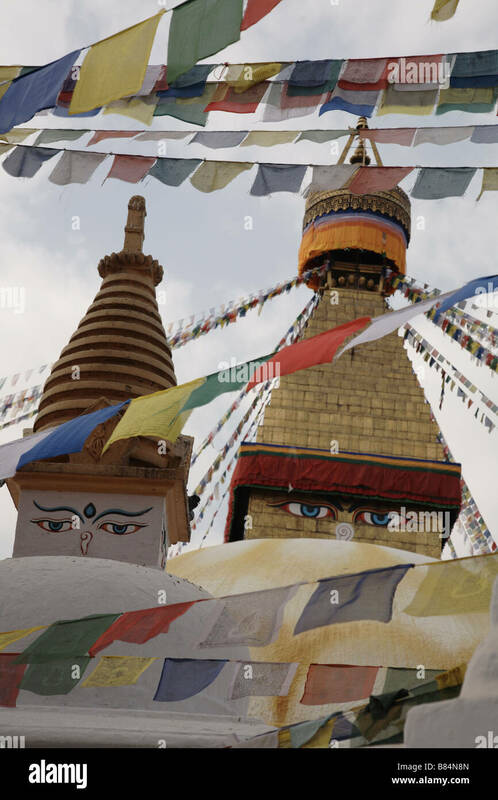 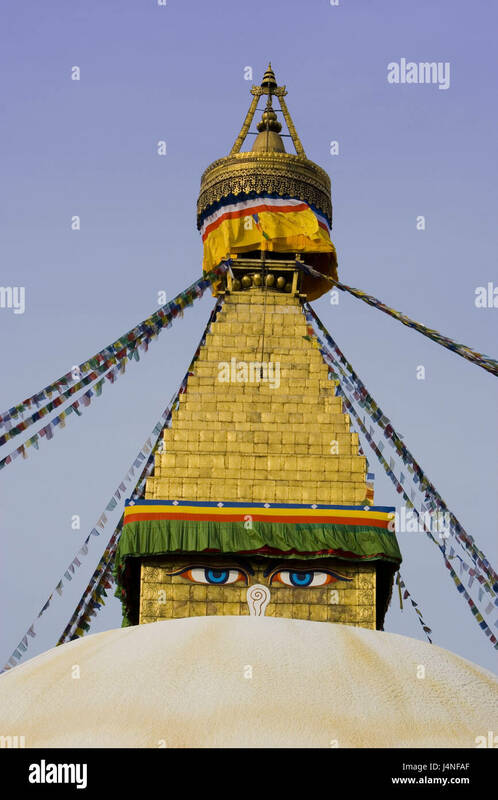 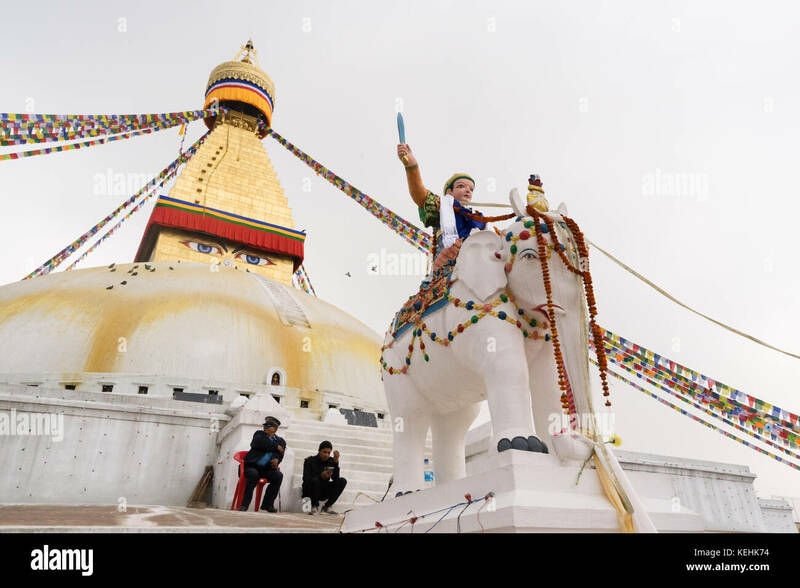 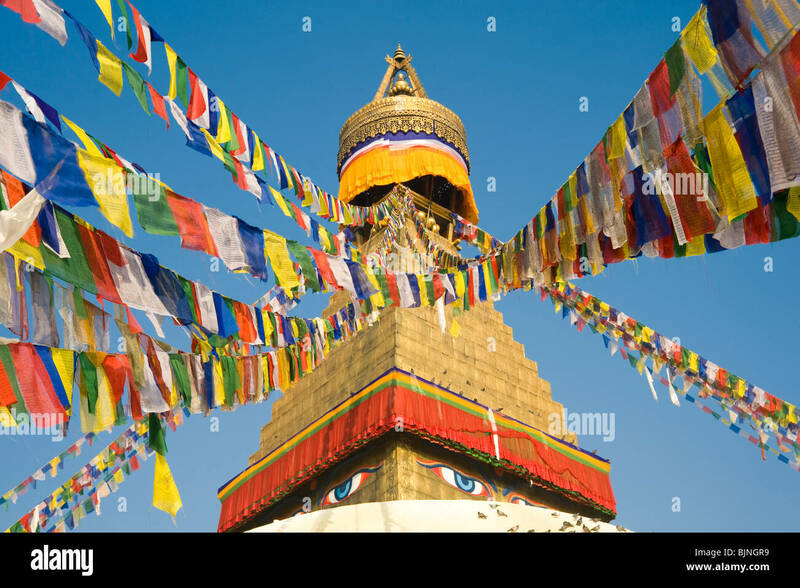 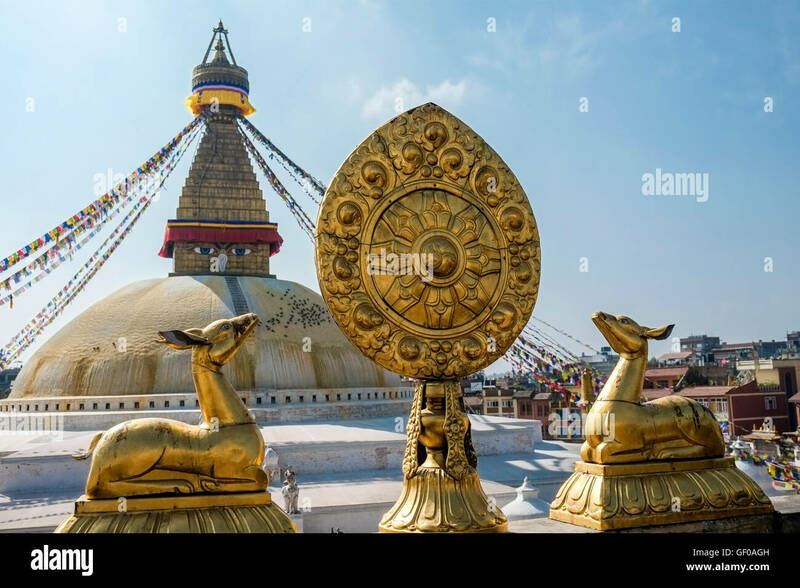 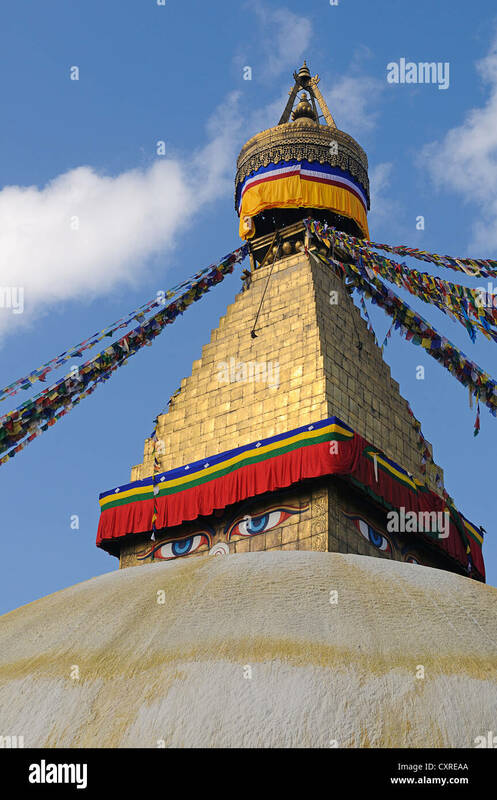 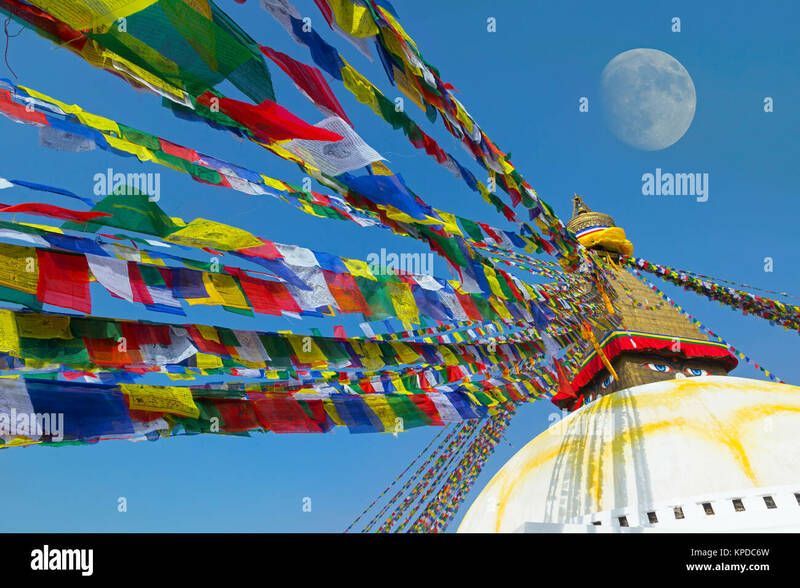 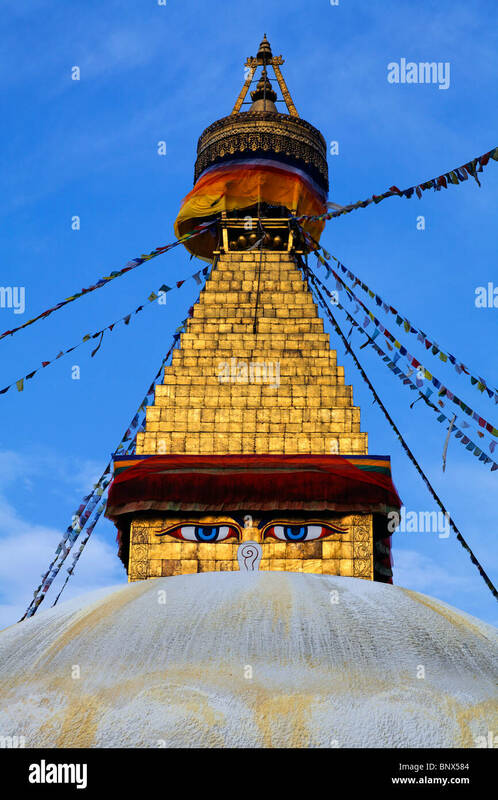 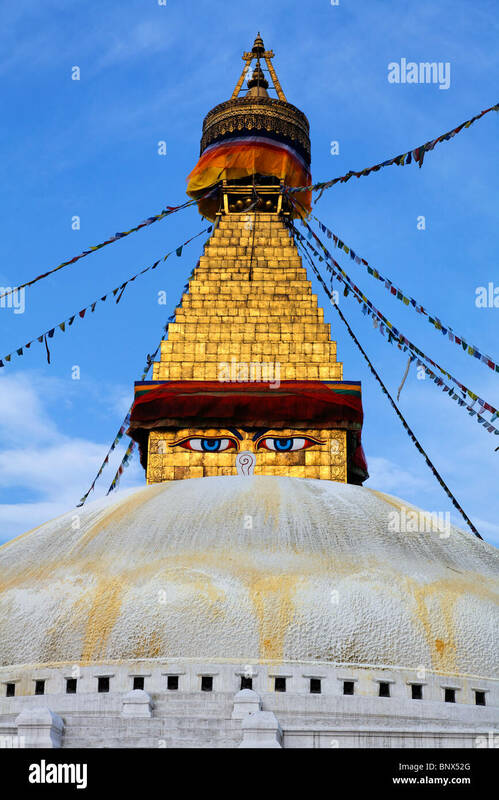 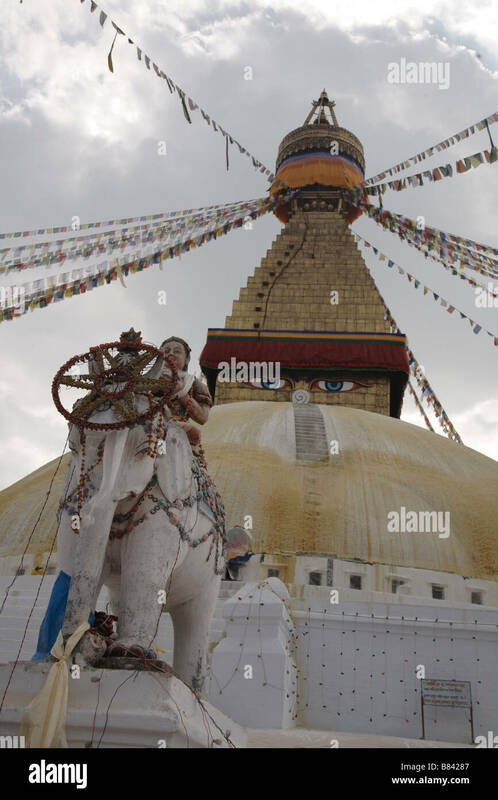 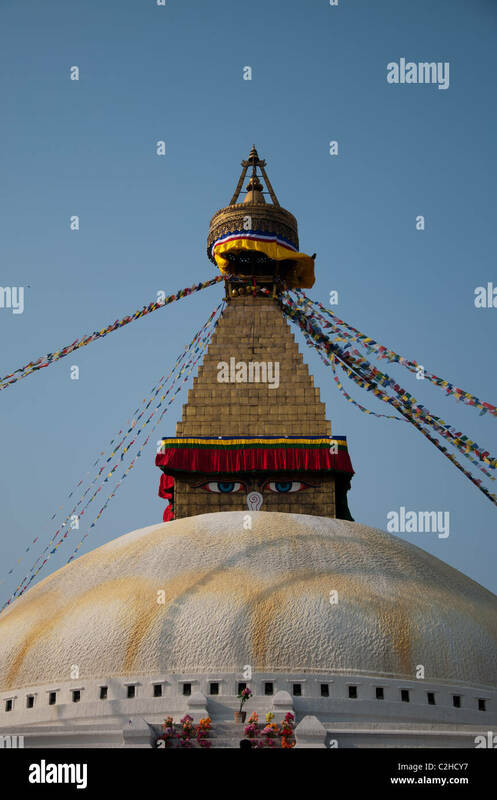 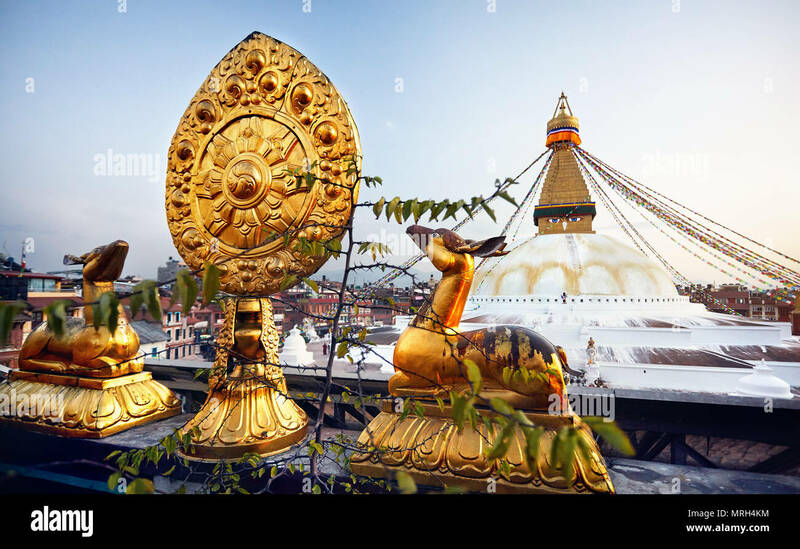 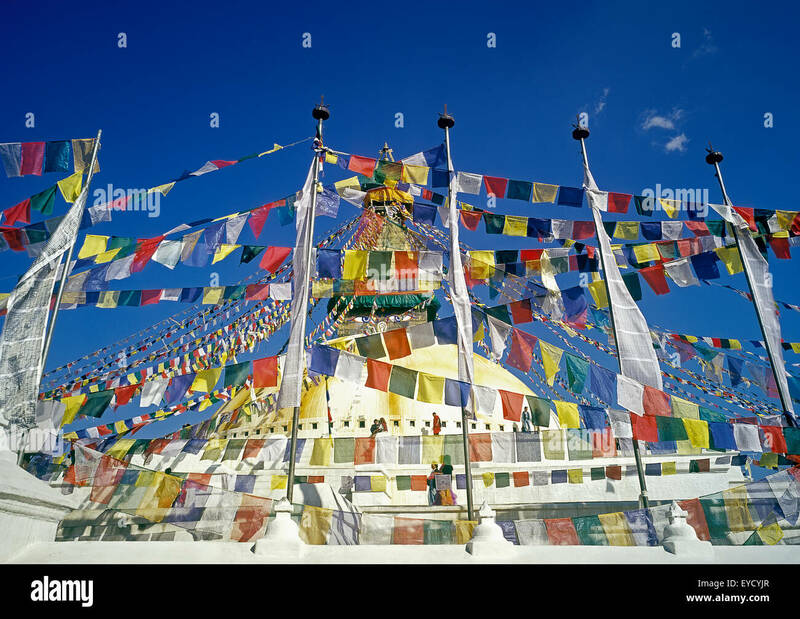 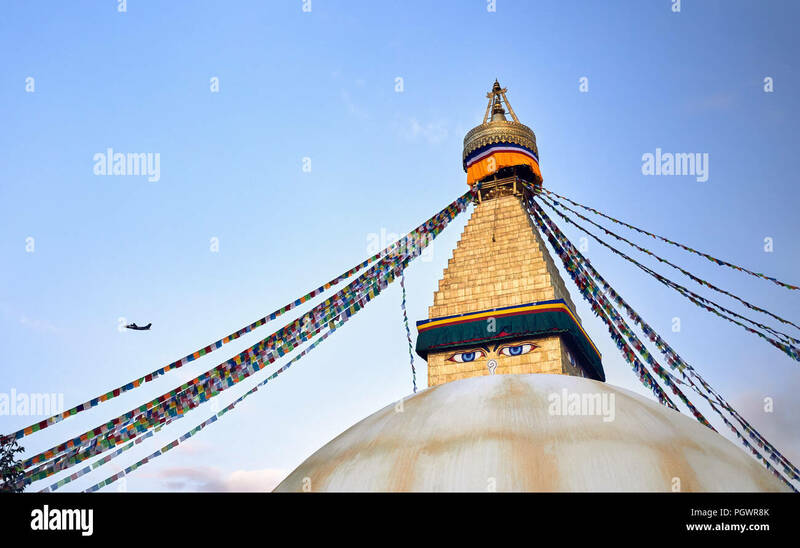 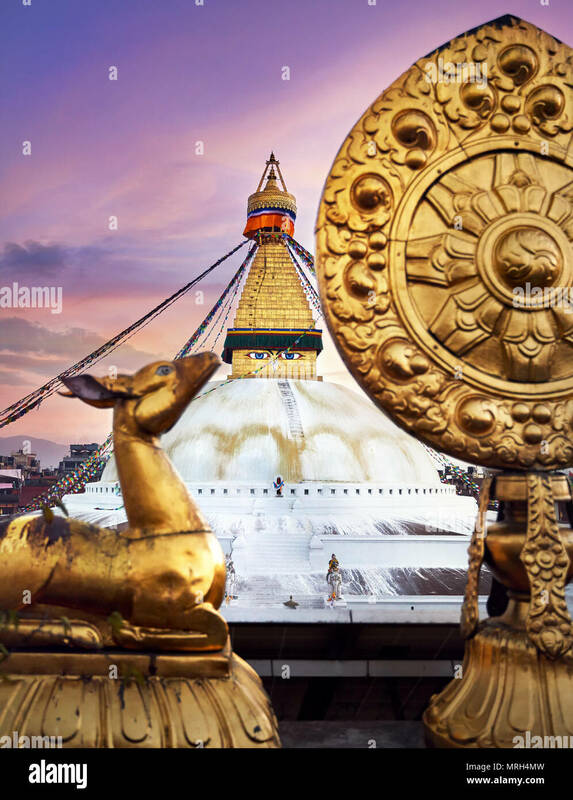 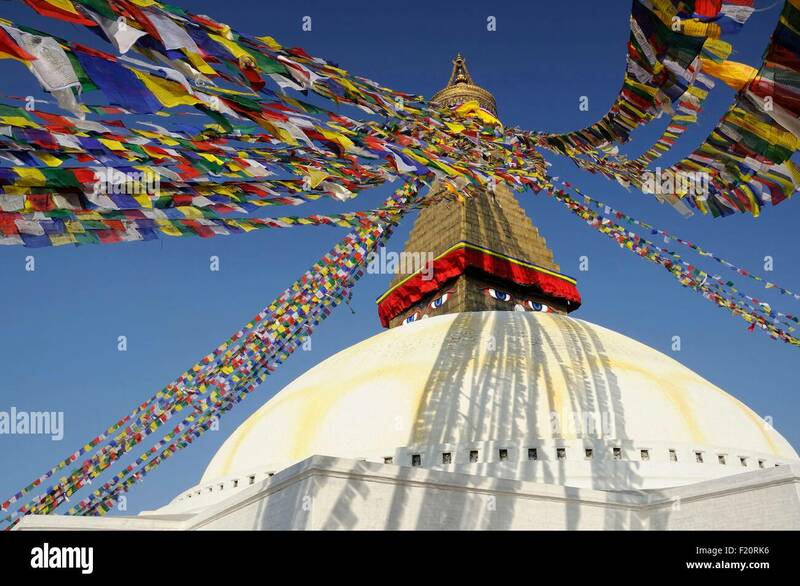 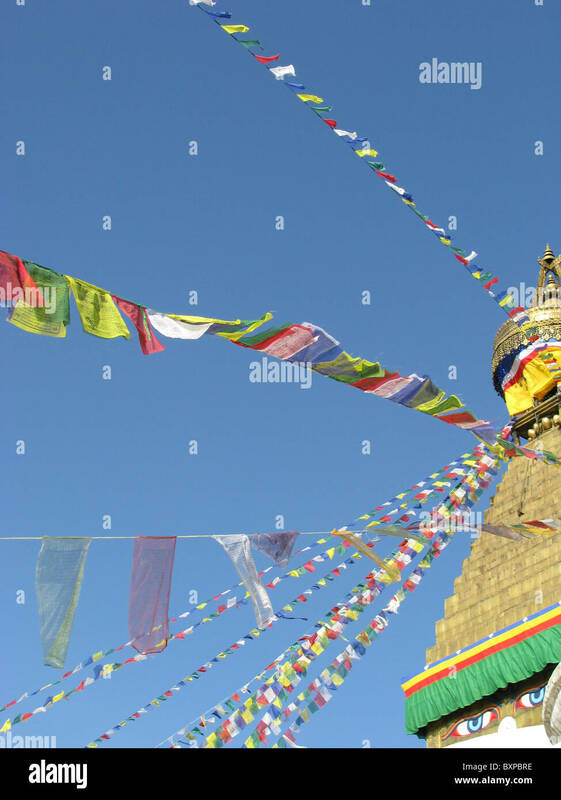 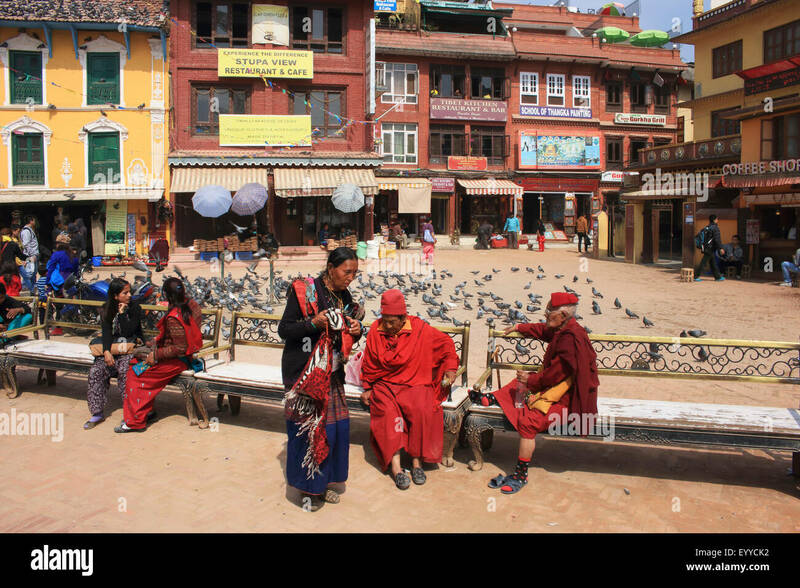 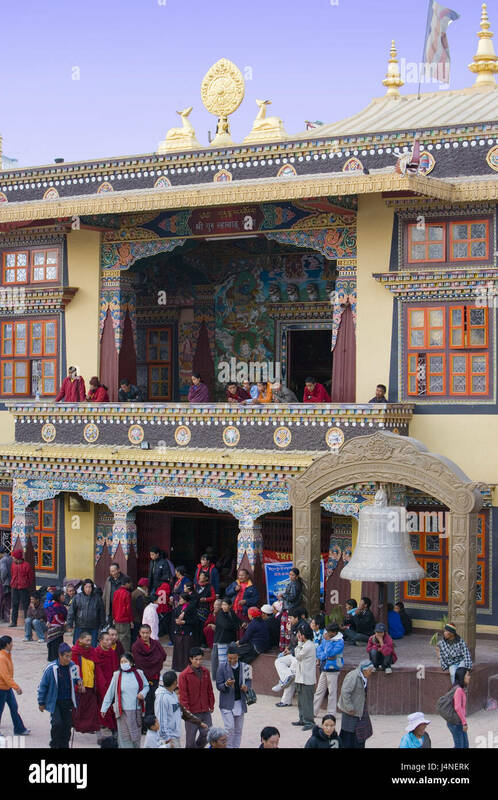 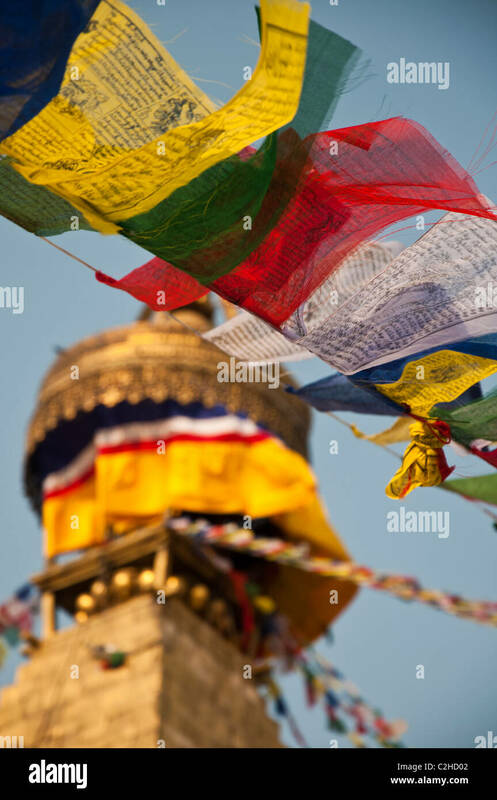 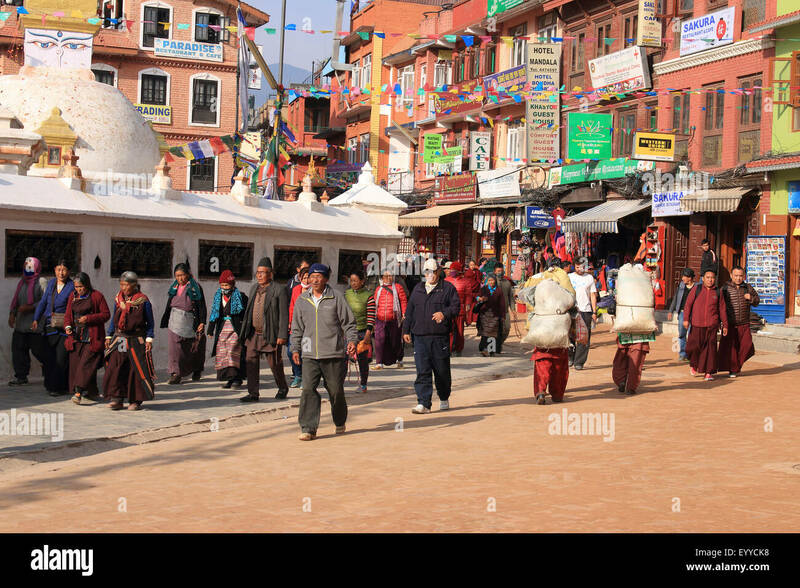 Statues and stupa in Boudhanath (also kn own as Bodnath) temple, Kathamandu area, Nepal. 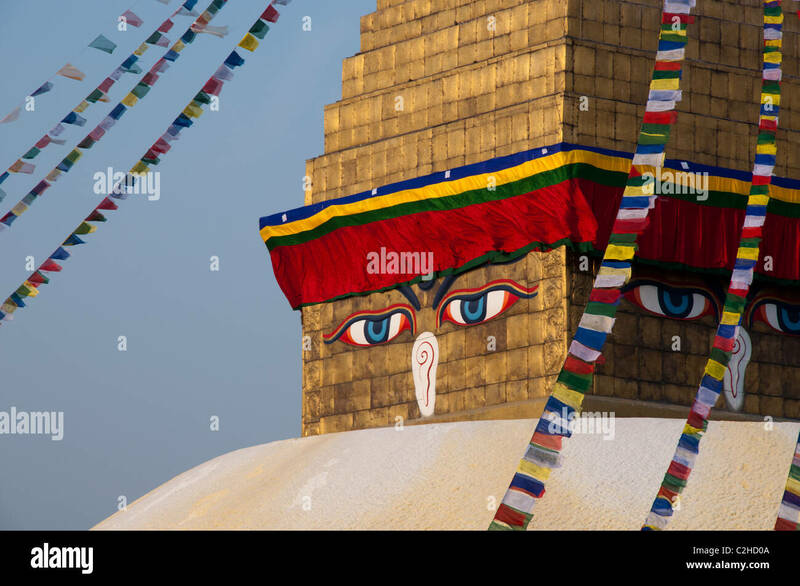 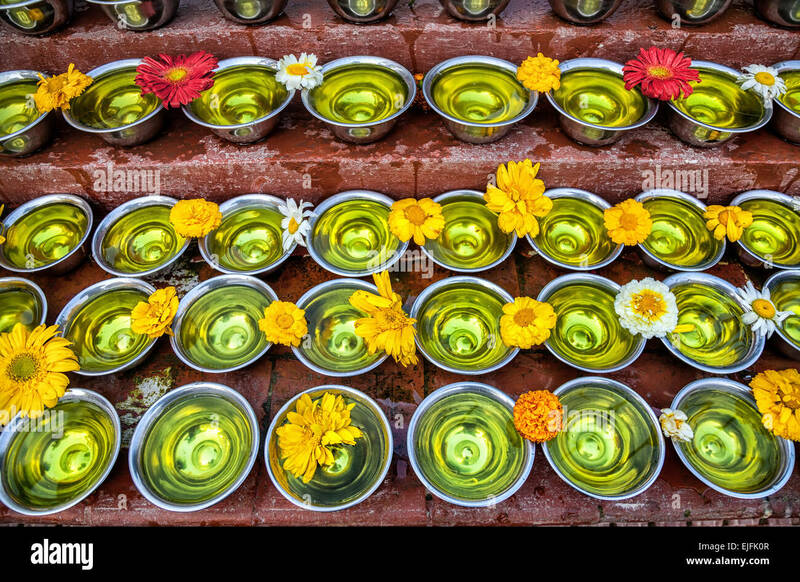 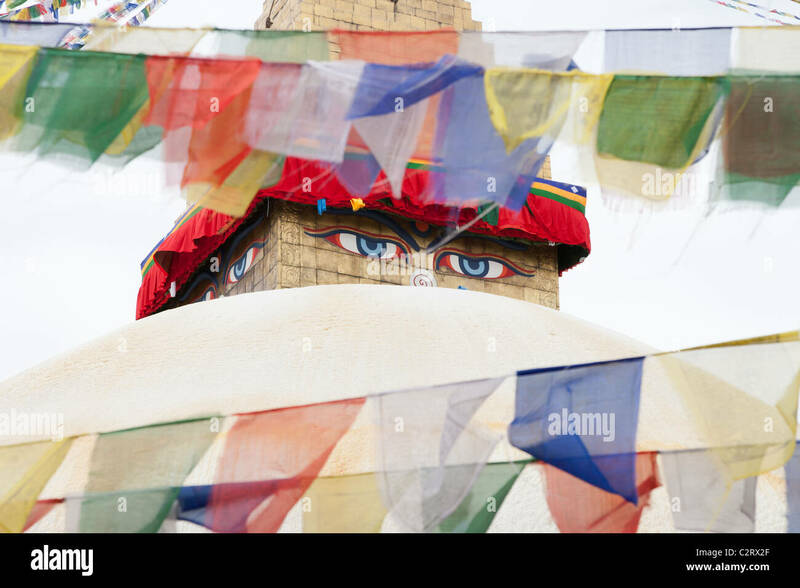 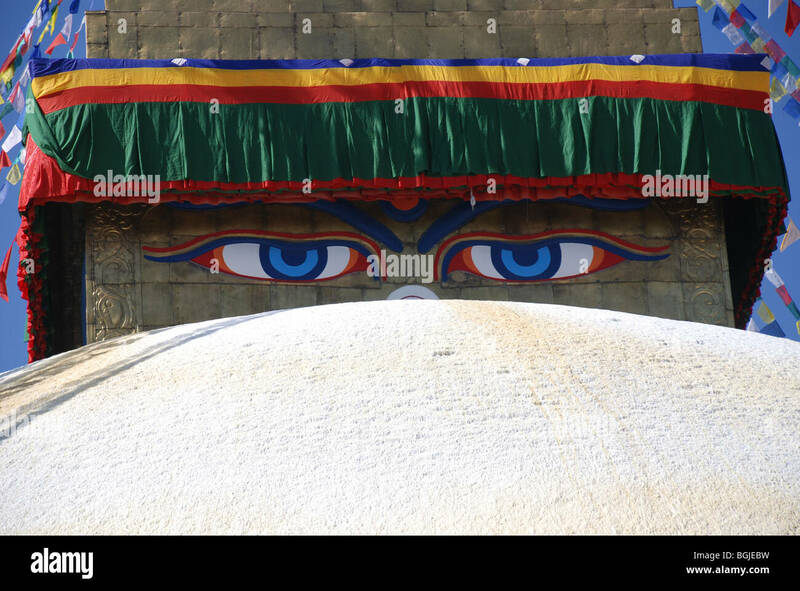 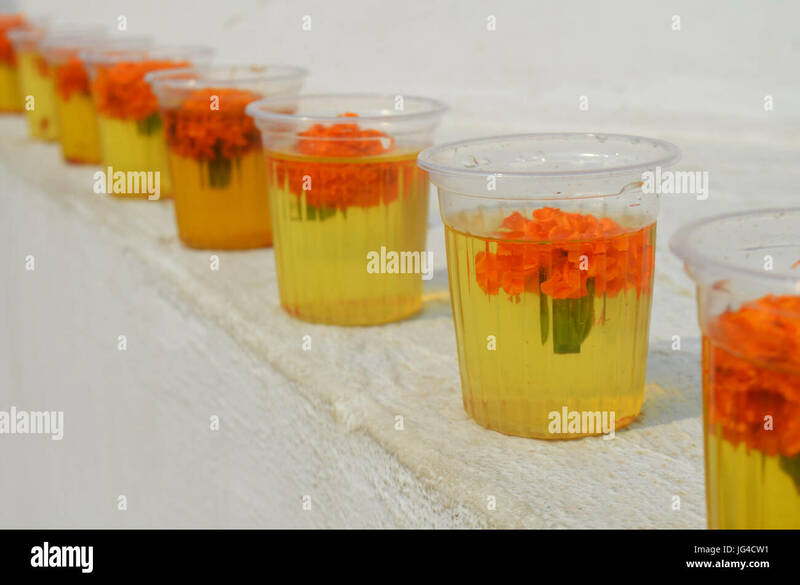 Glasses with water and carnation flowers at The Great stupa Bodnath in Kathmandu, Nepal. 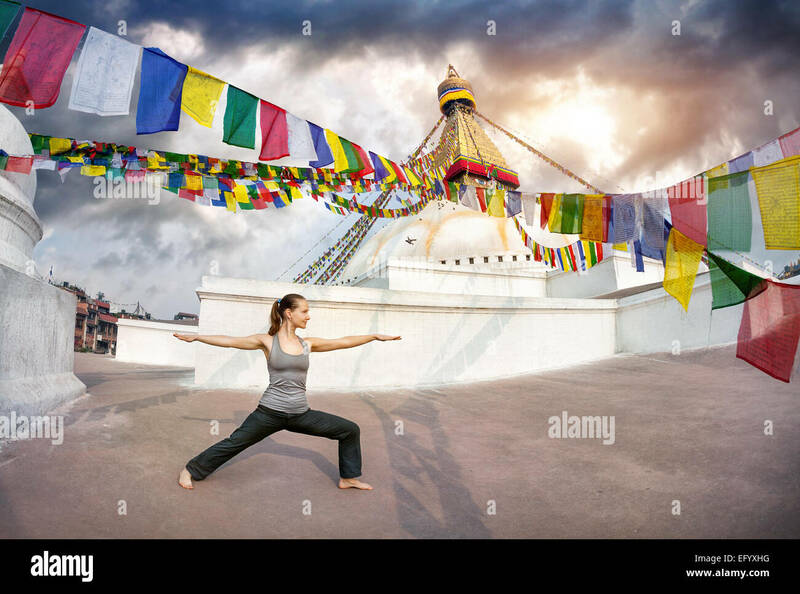 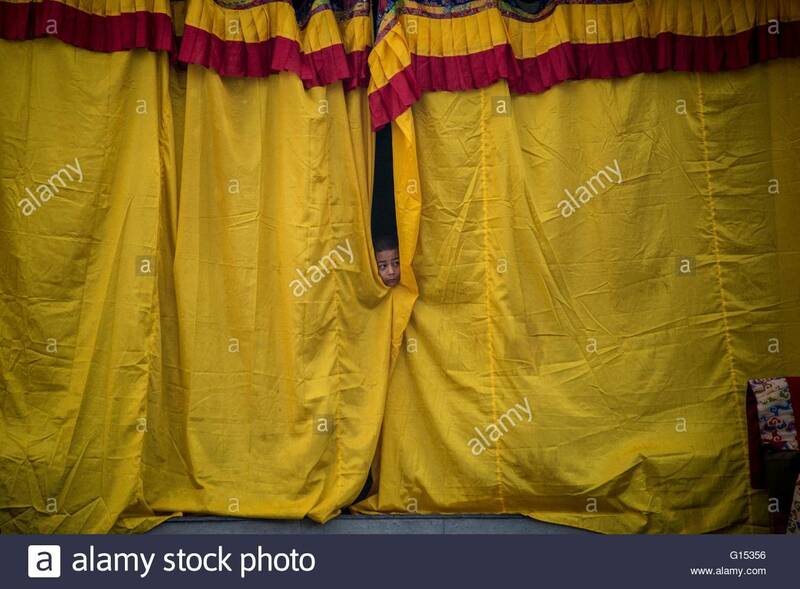 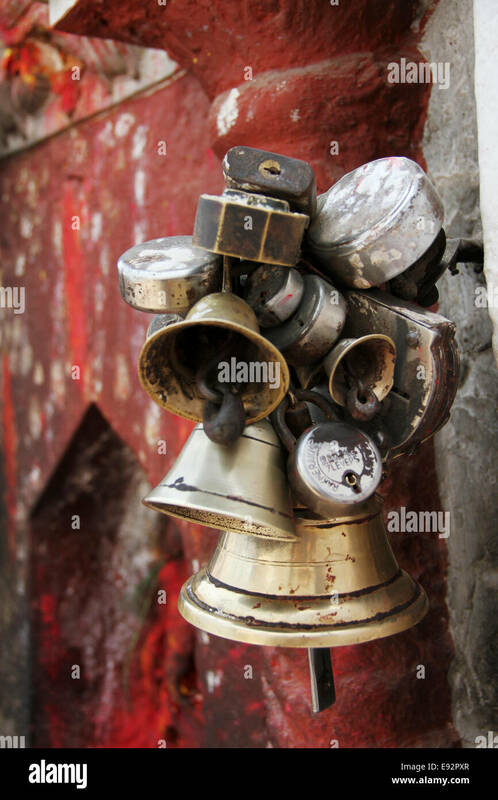 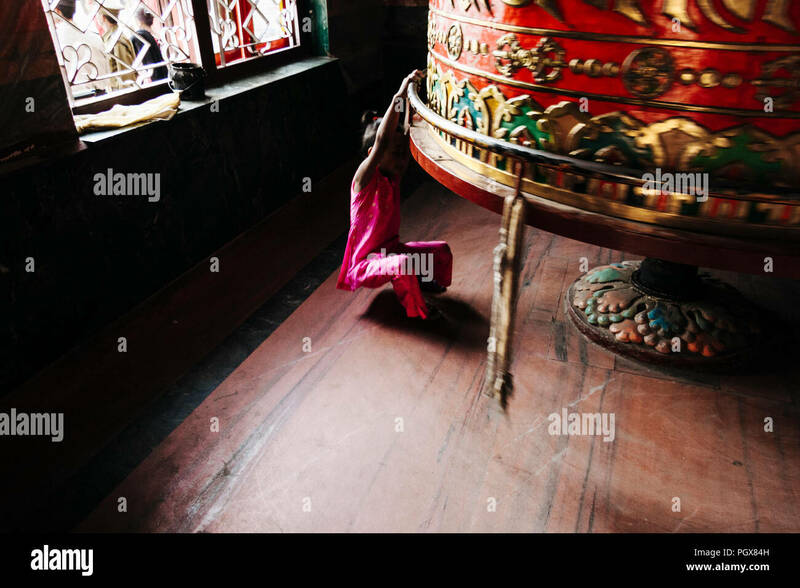 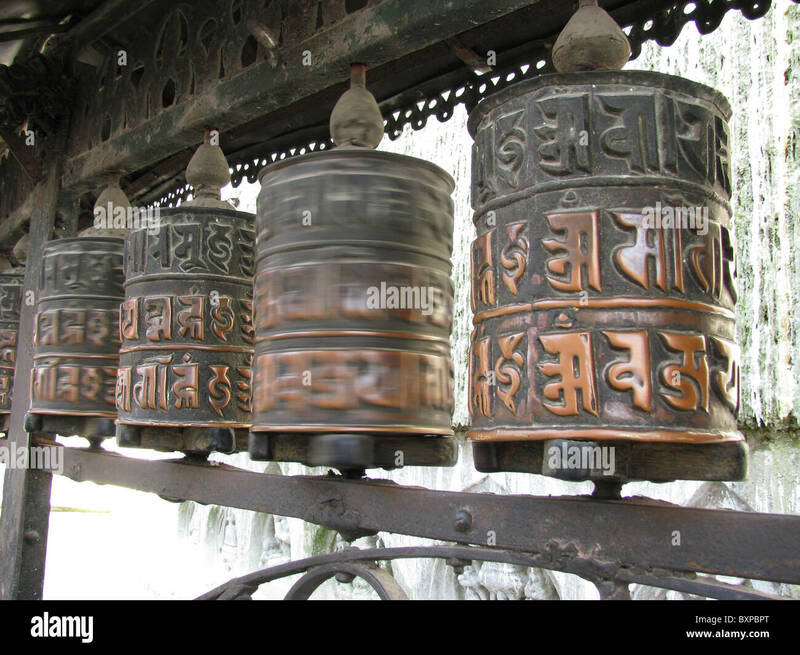 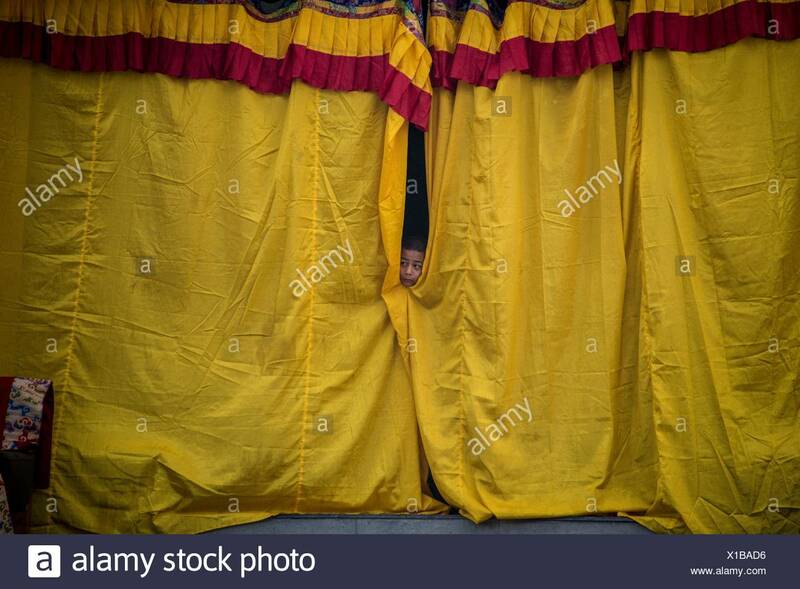 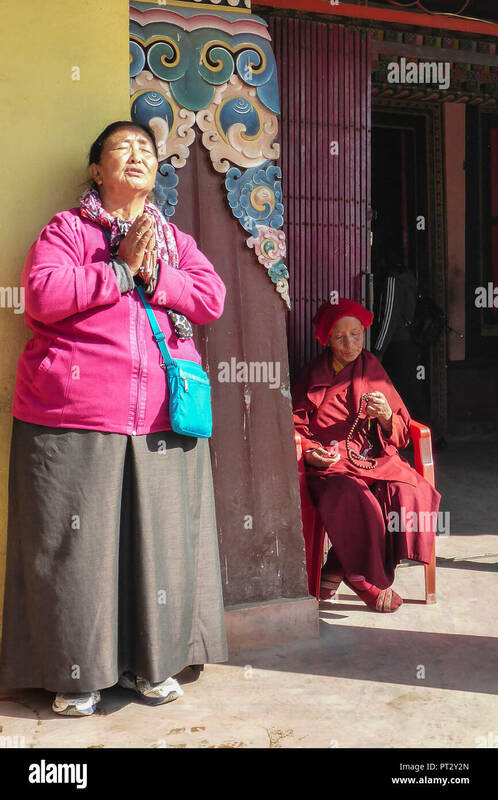 Bodhnath , Kathmandu, Bagmati, Nepal : A Nepali girl plays by a large prayer wheel inside inside a Buddhist shrine in Bodhnath.